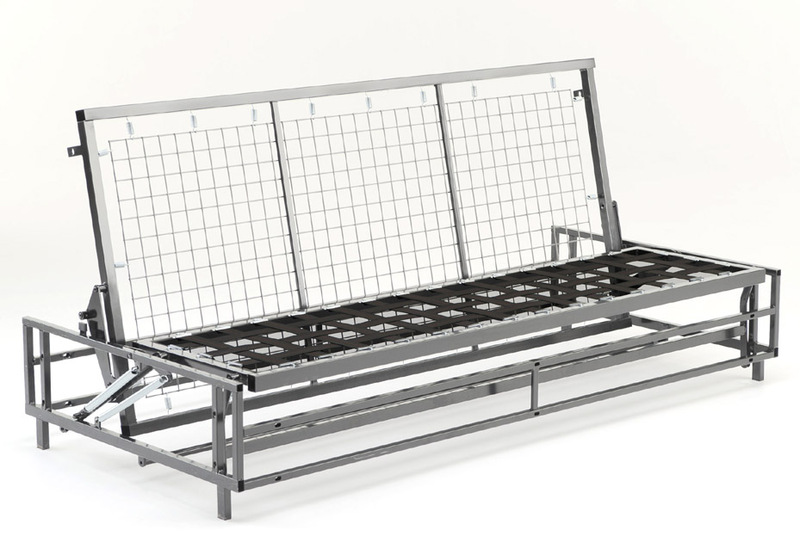 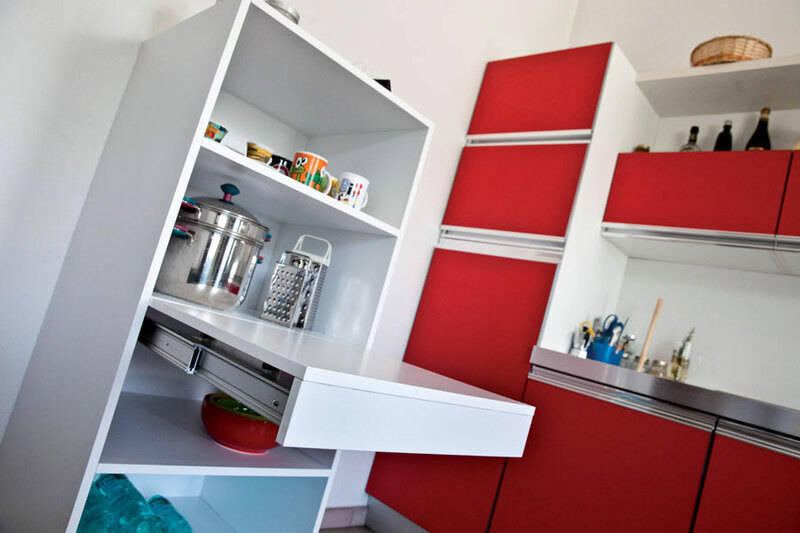 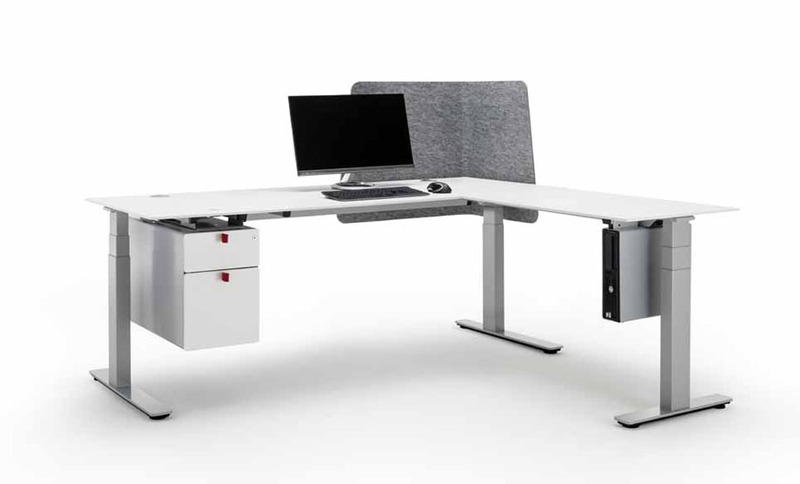 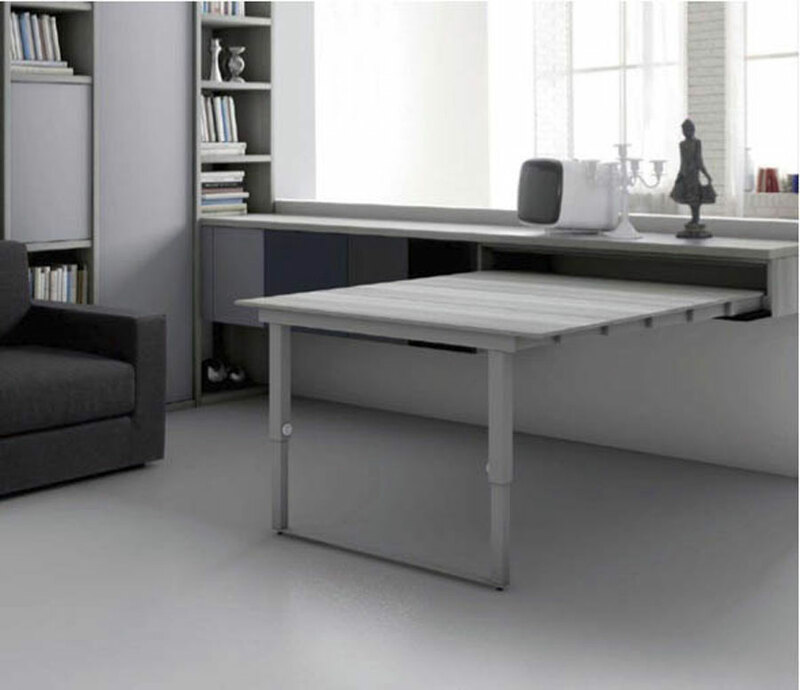 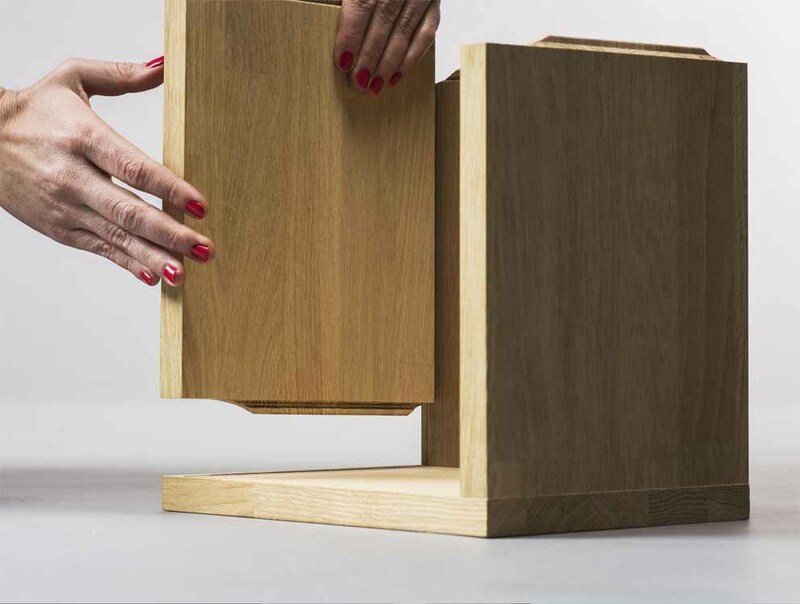 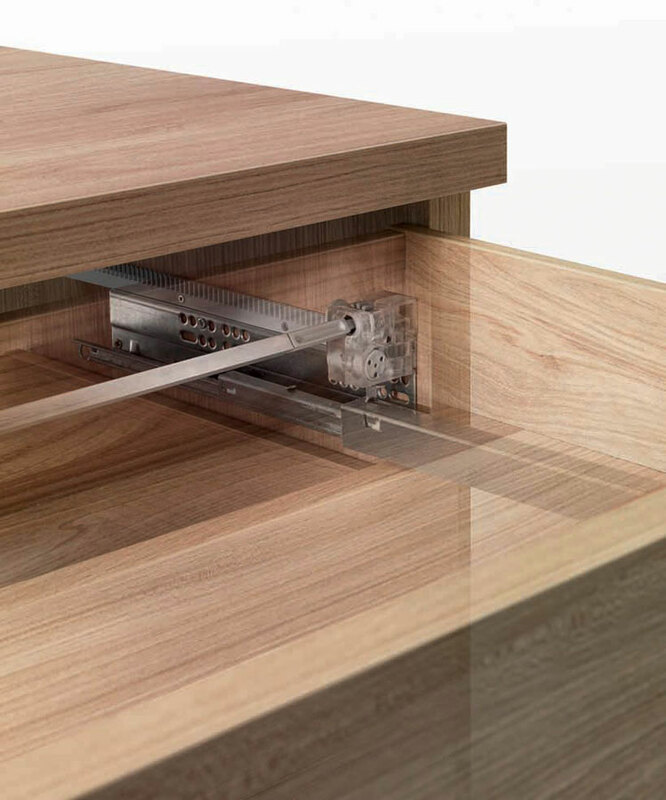 The Threespine® interlocking technology enables extremely quick and easy assembly of the furniture without the use of tools, screws, fasteners, accessories and glue. 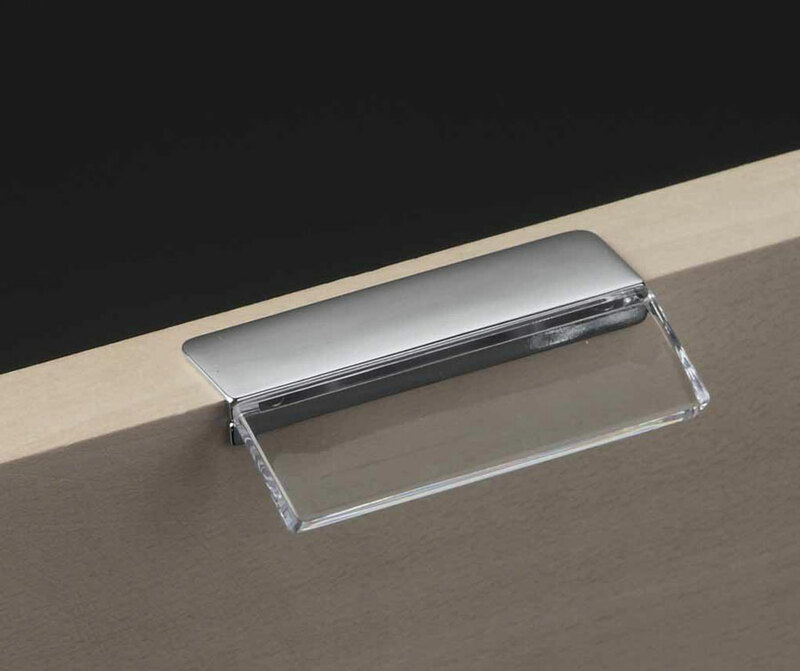 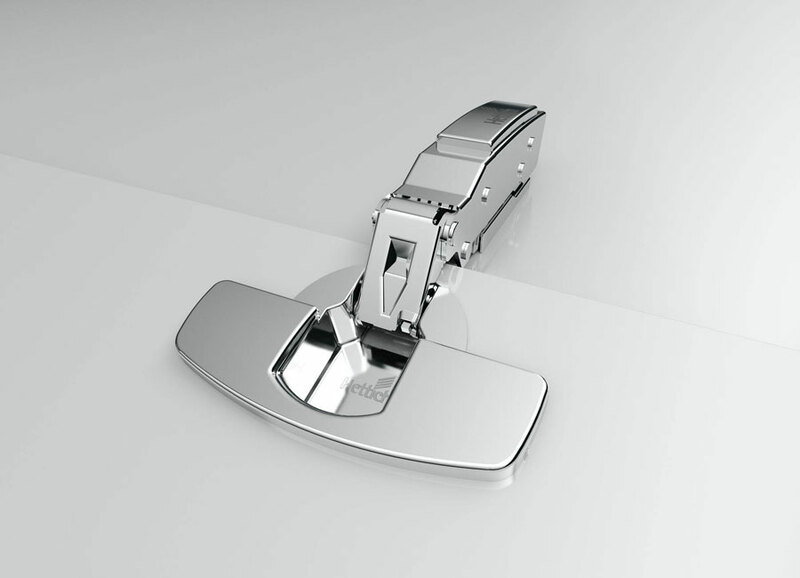 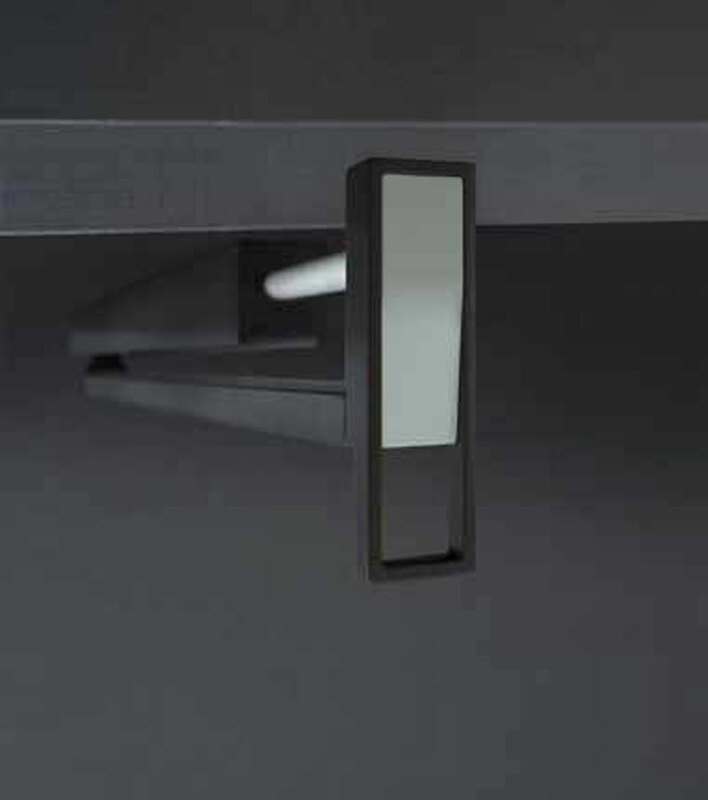 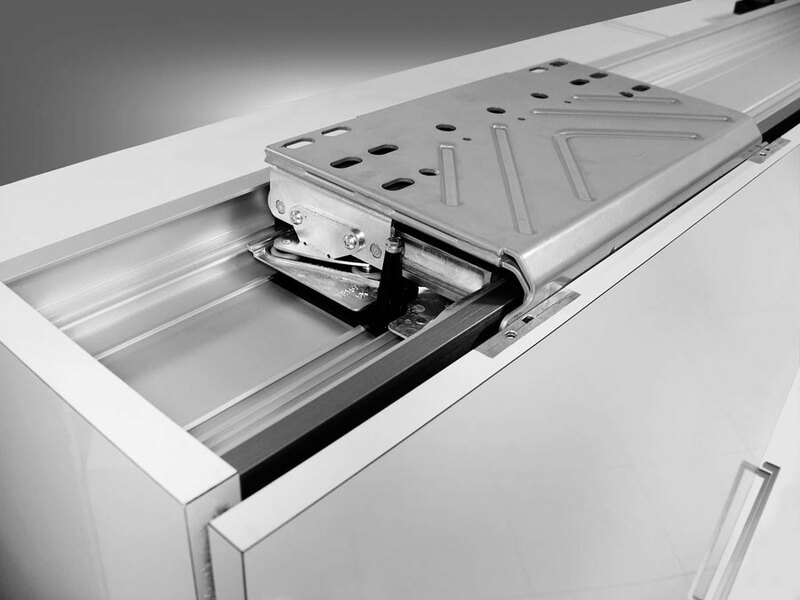 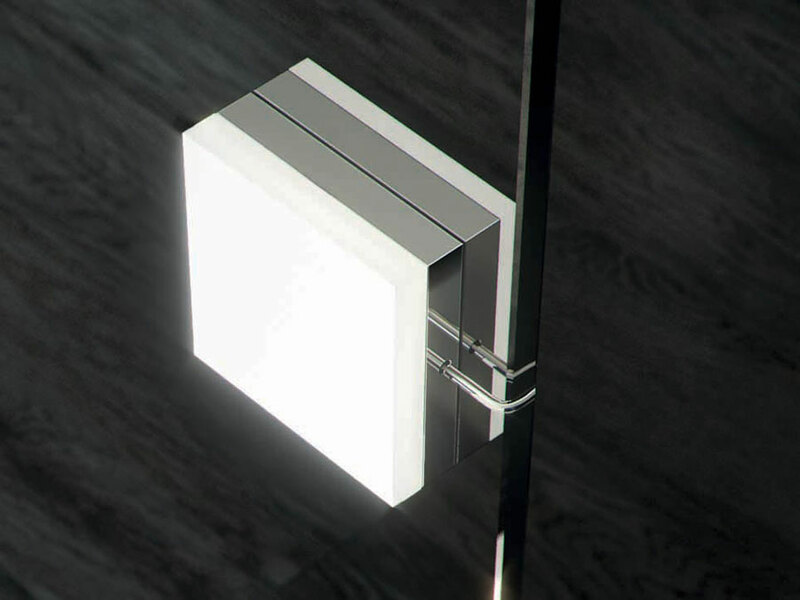 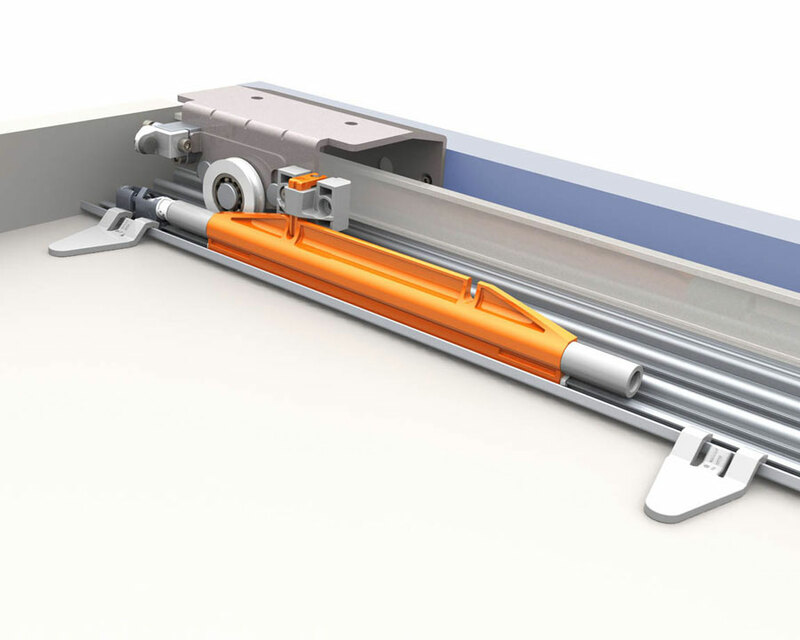 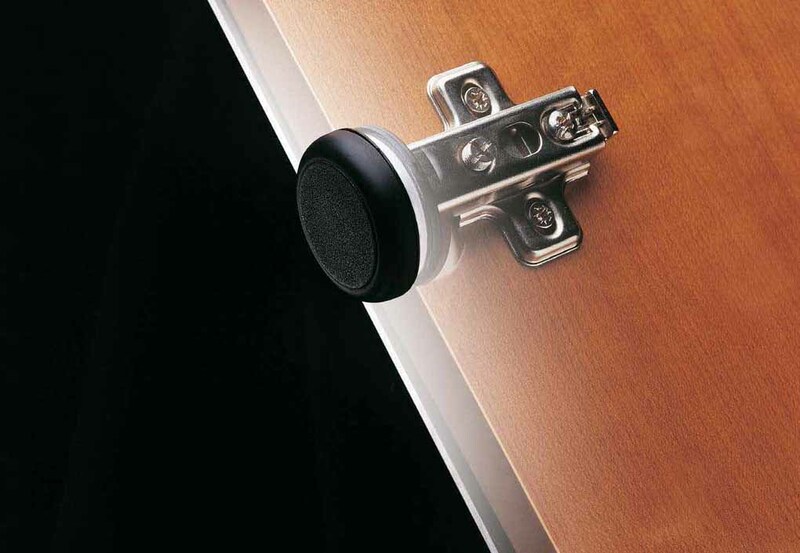 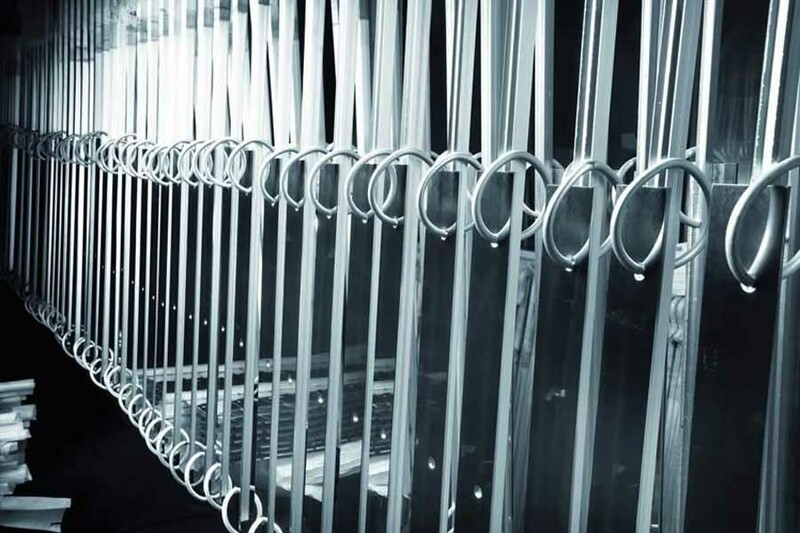 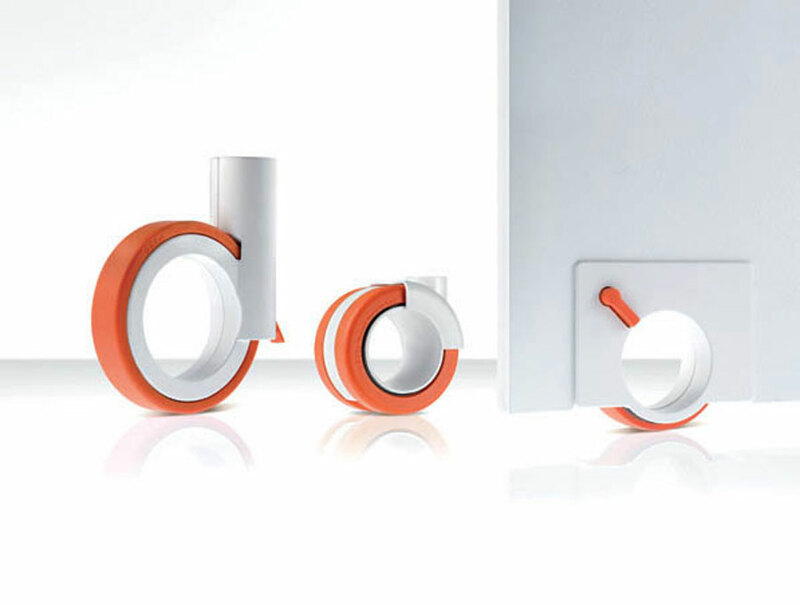 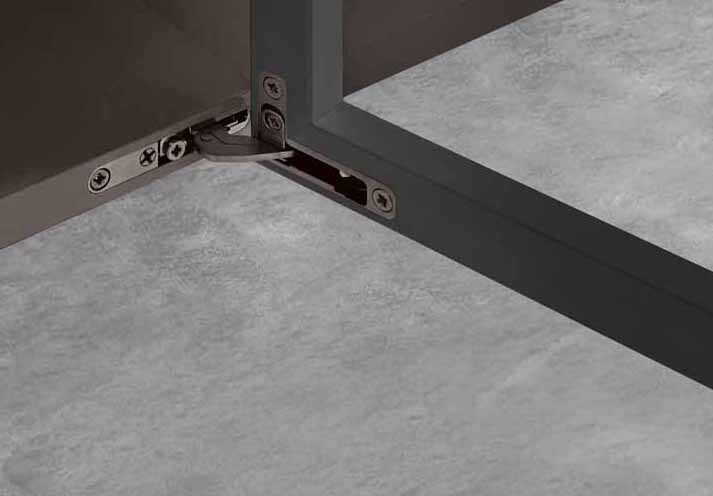 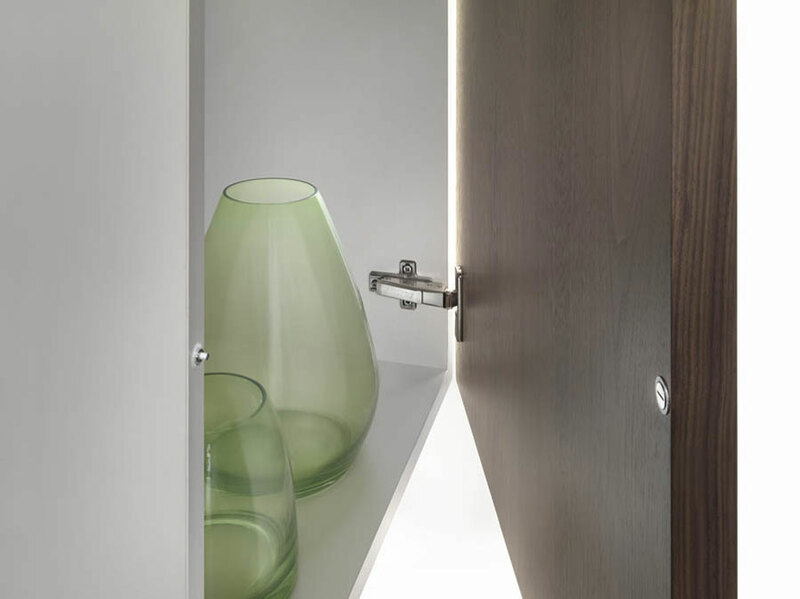 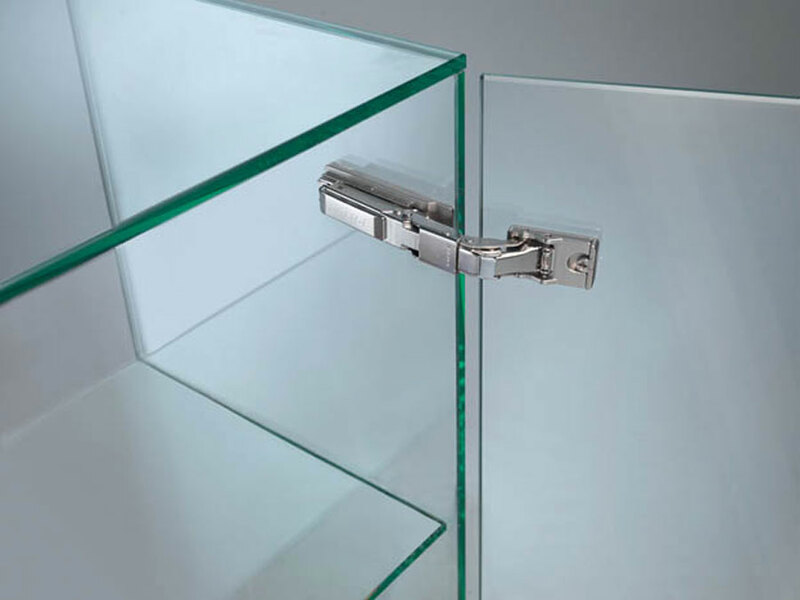 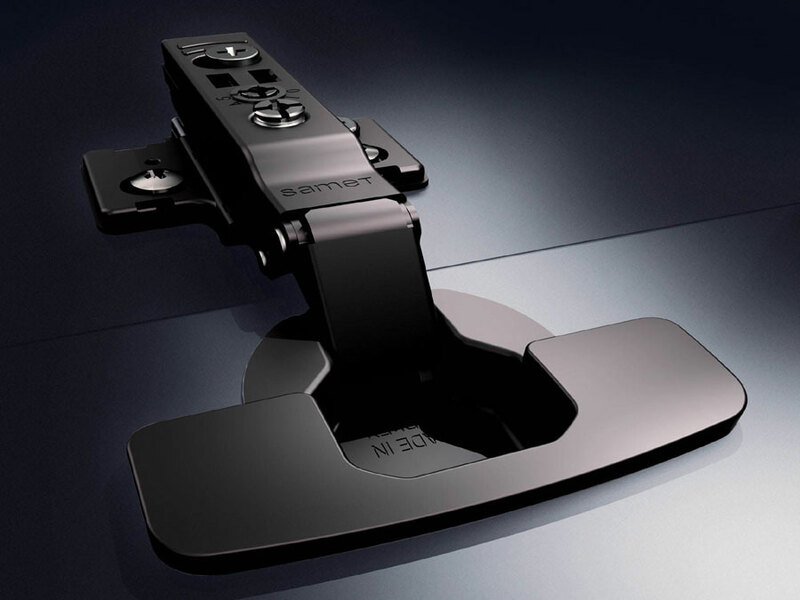 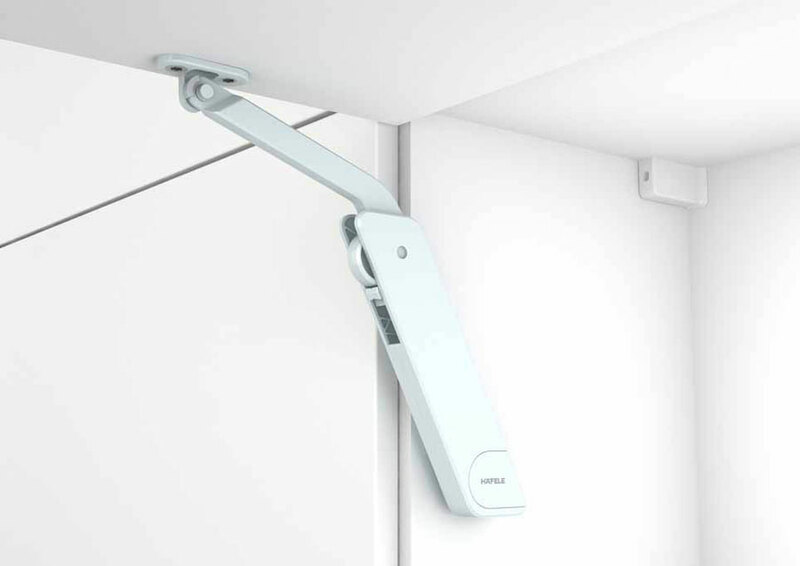 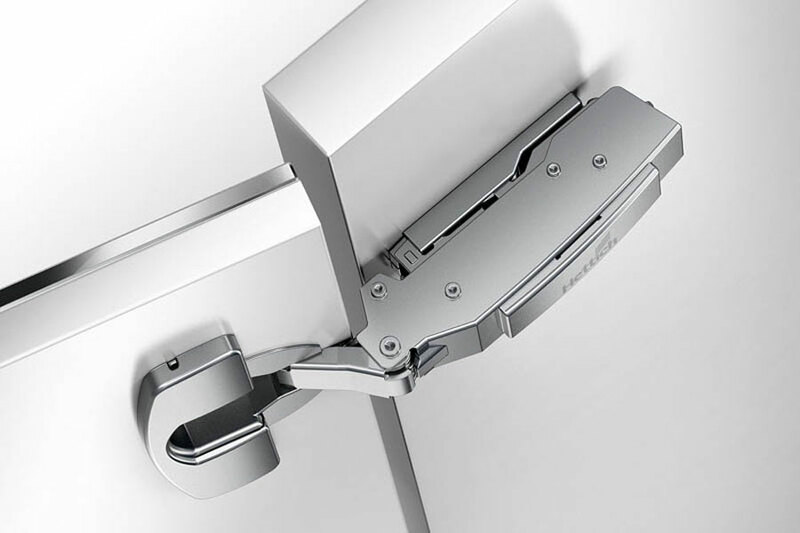 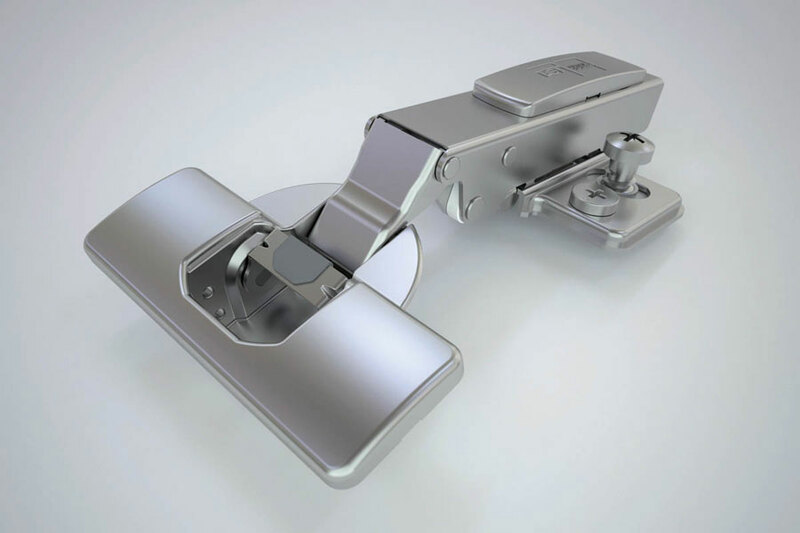 Sensys hinge for glass applications: the integrated shock absorber and the wide automatic closing angle guarantee a smooth and safe movement of the glass doors. 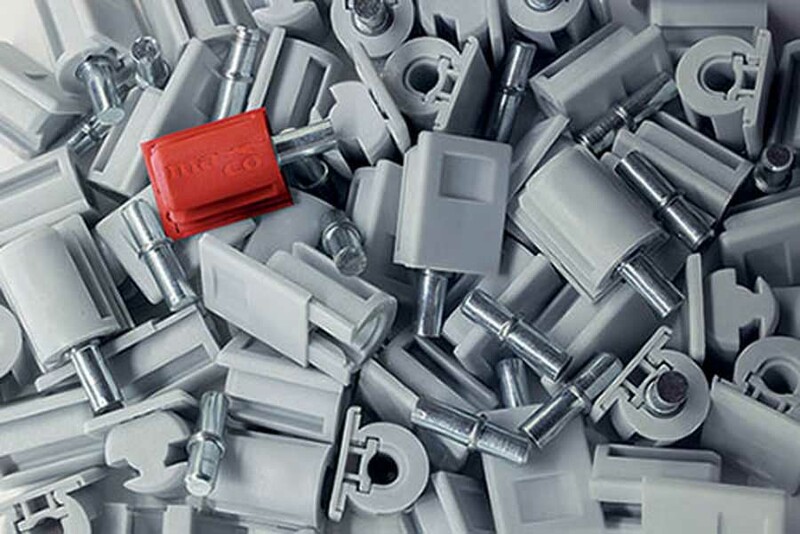 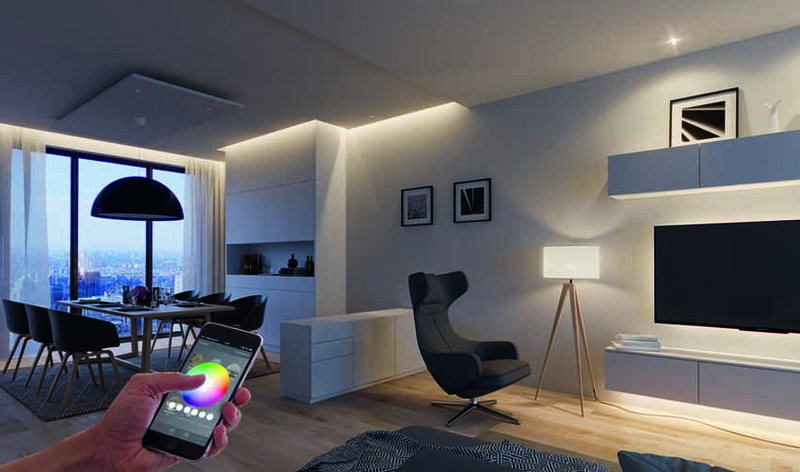 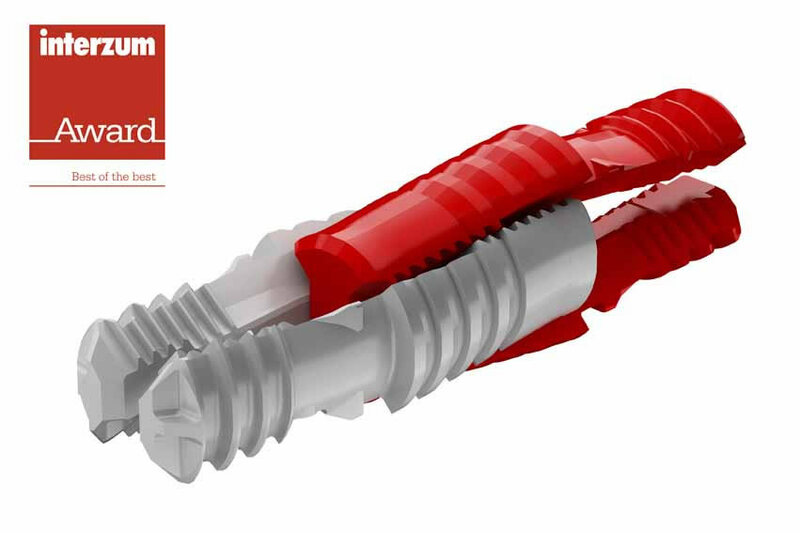 Ostermann has expanded its range of technical profiles including new dimensions, new colors and new profile solutions in the already wide range of products. 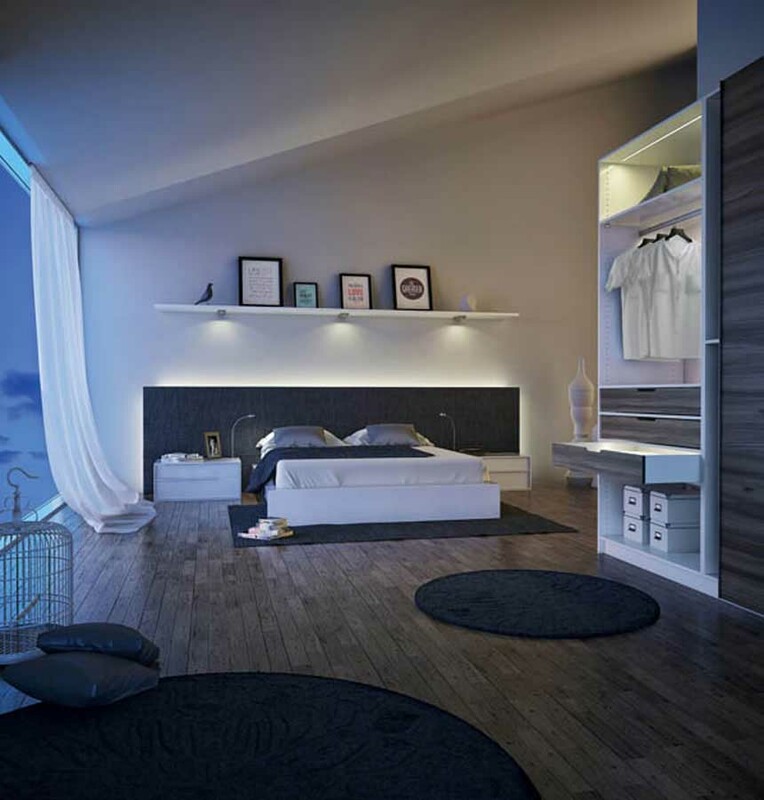 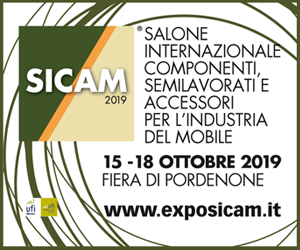 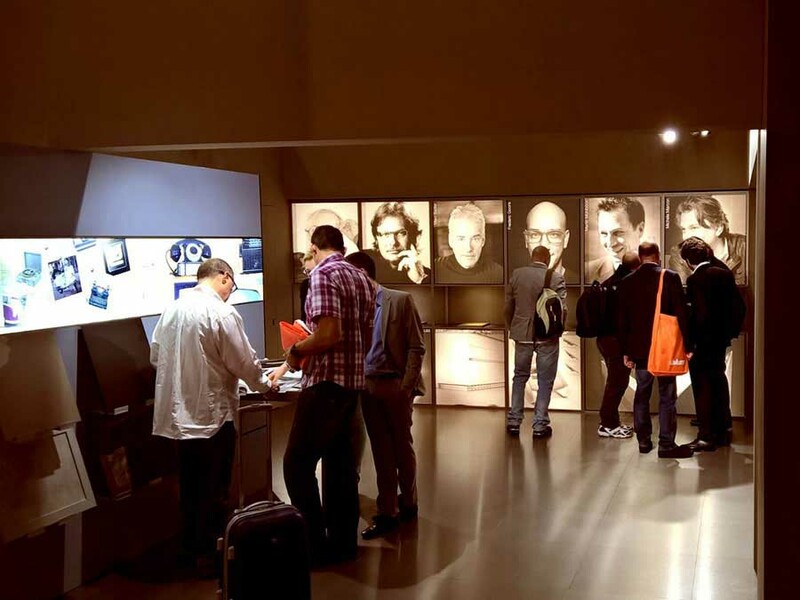 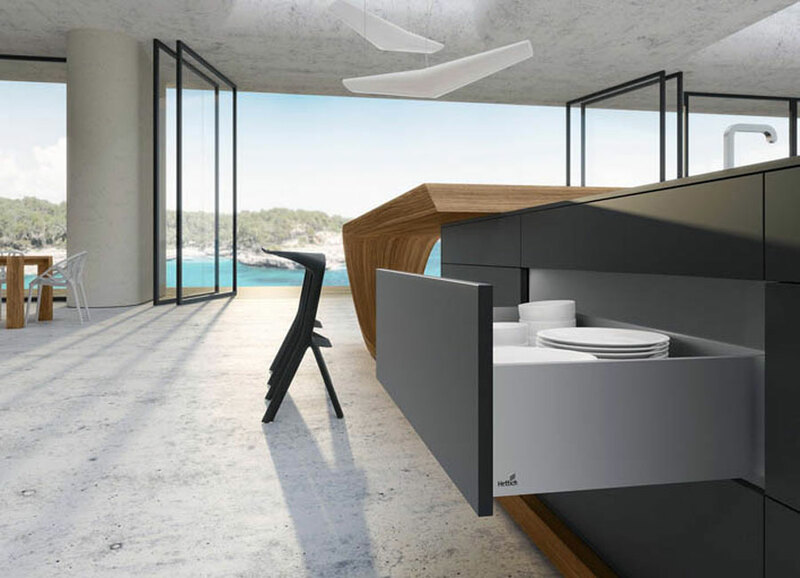 Hettich presented innovative projects to Sicam, able to offer the right solution for all needs in terms of design and customization. 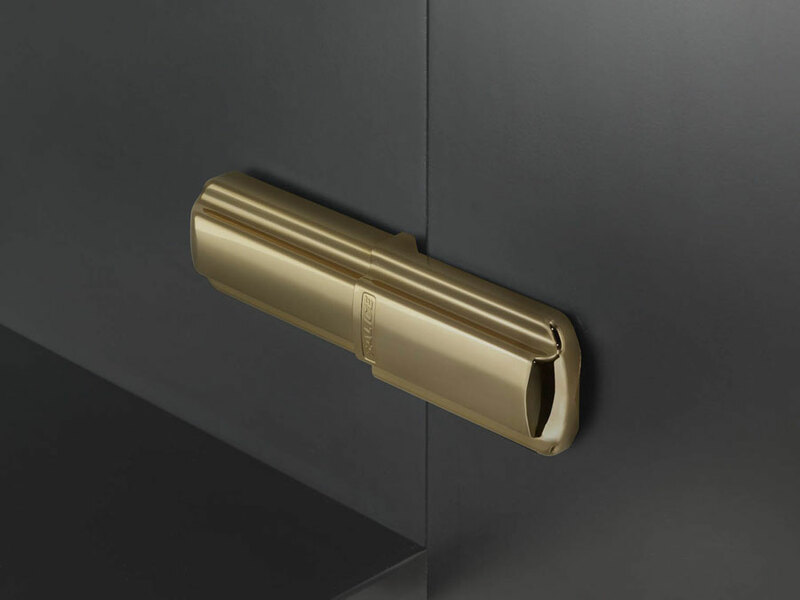 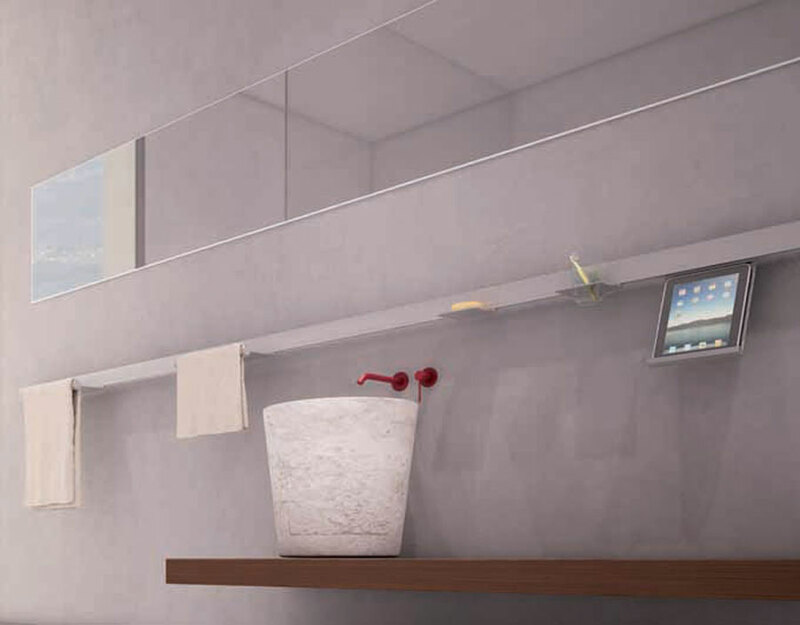 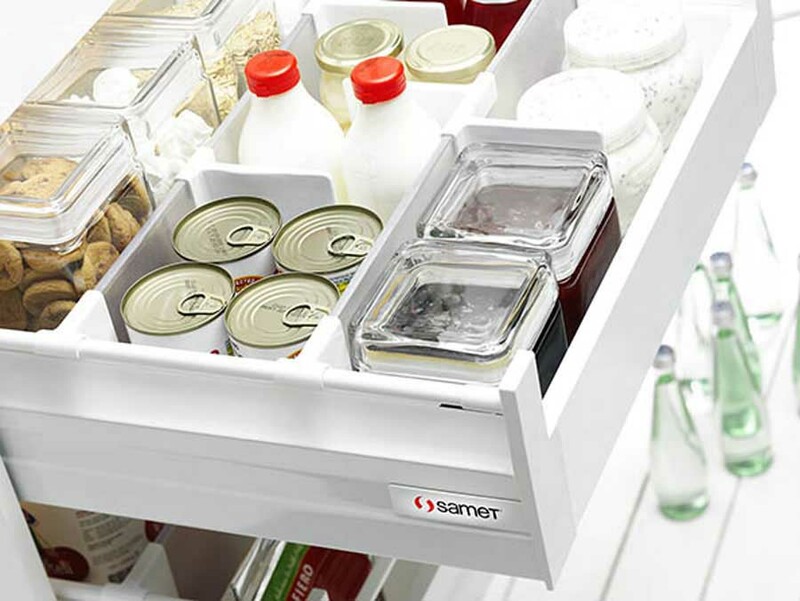 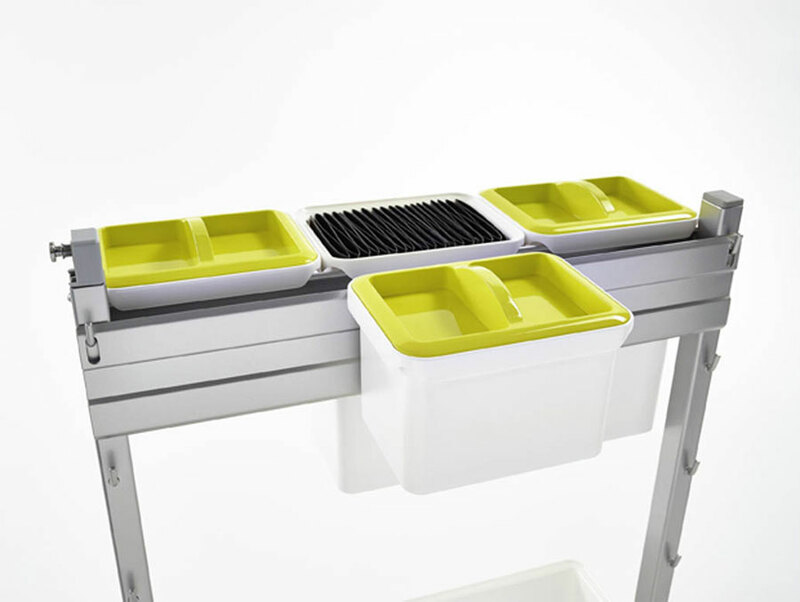 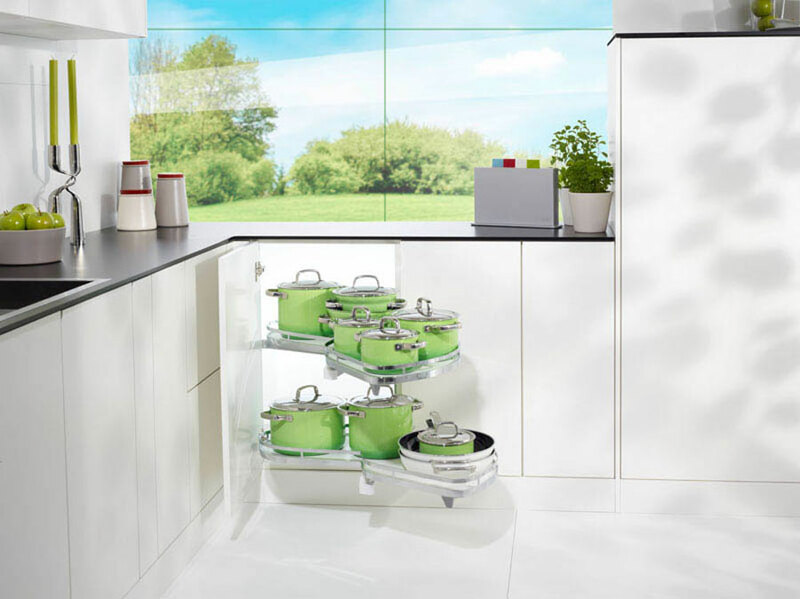 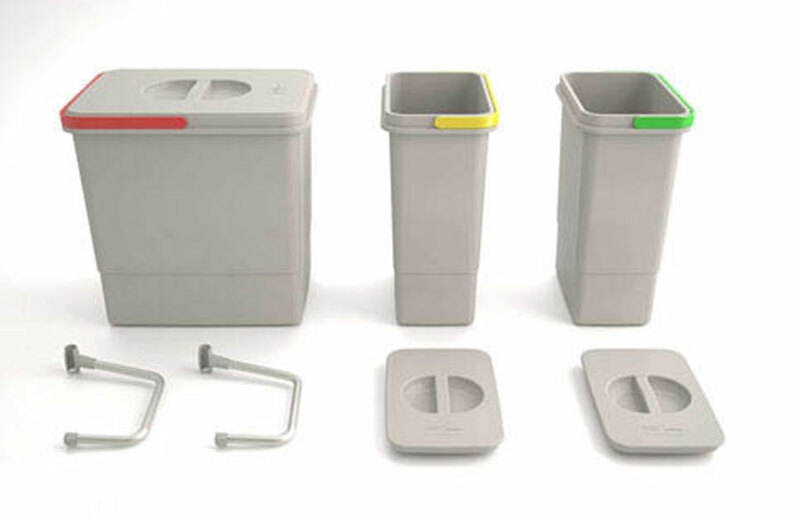 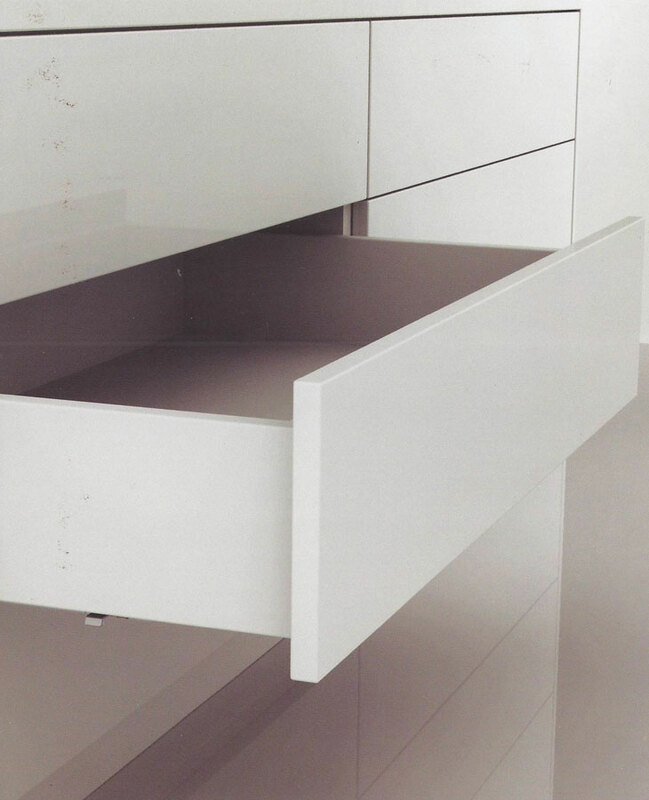 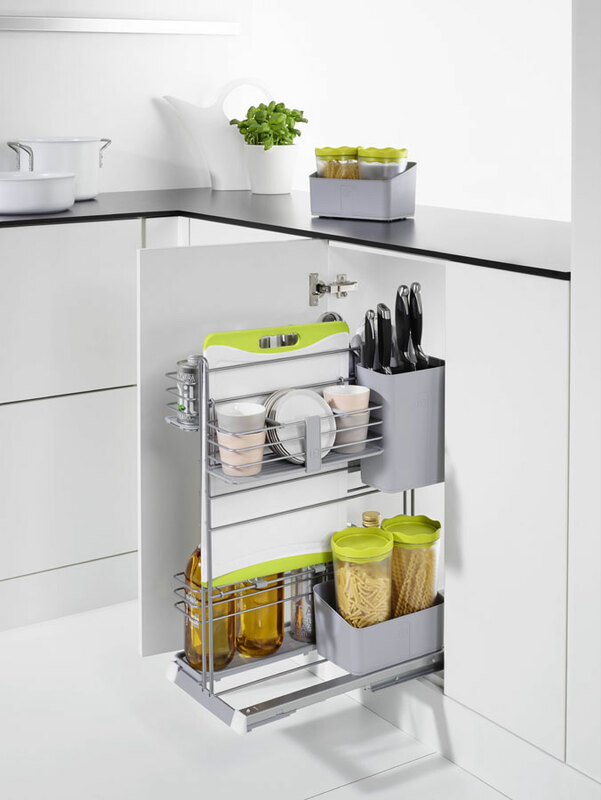 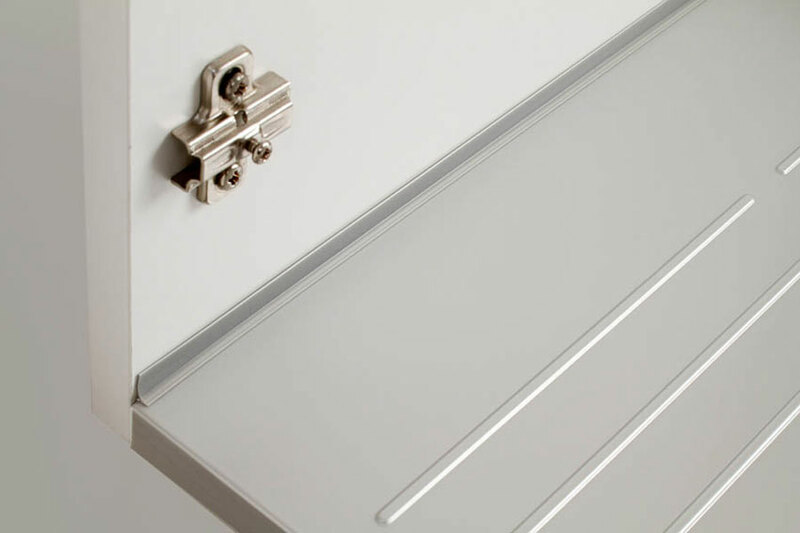 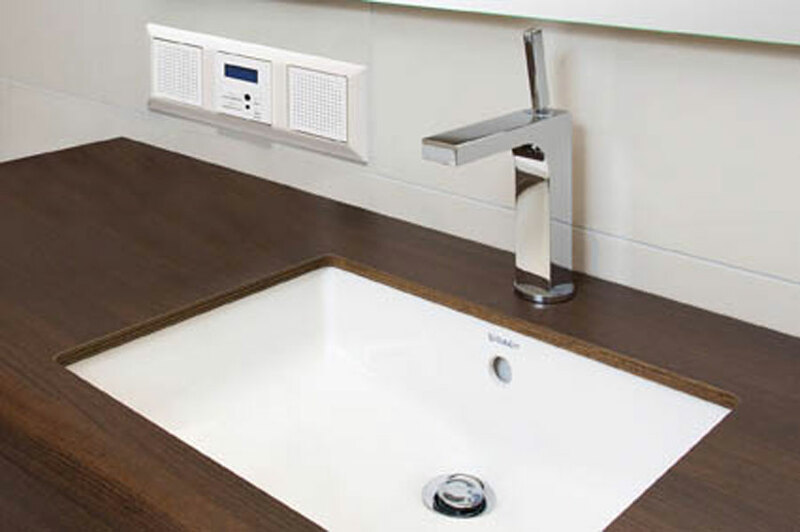 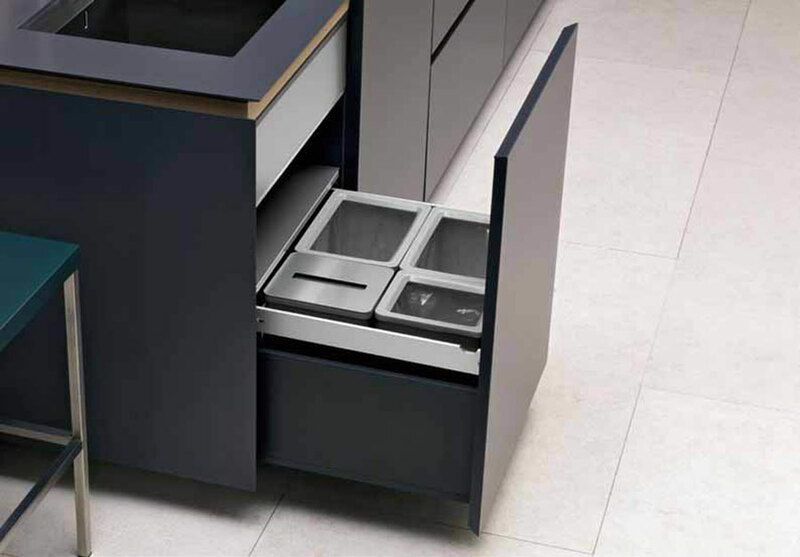 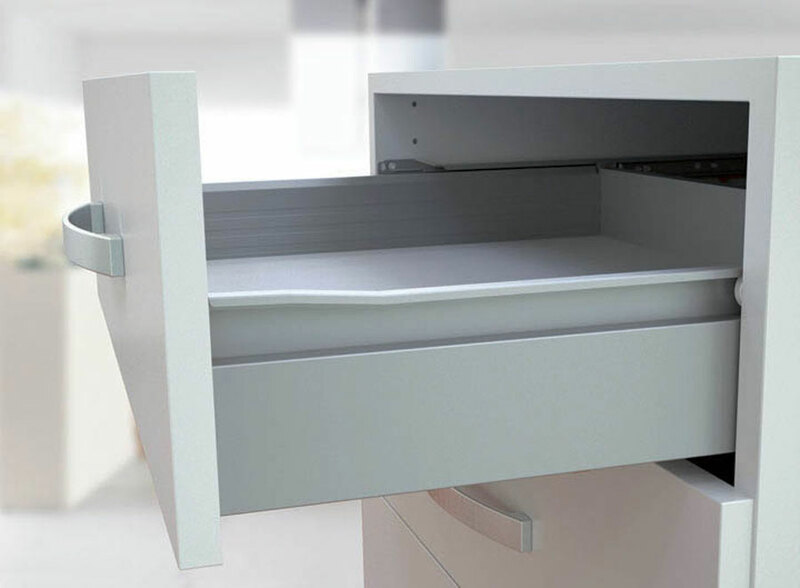 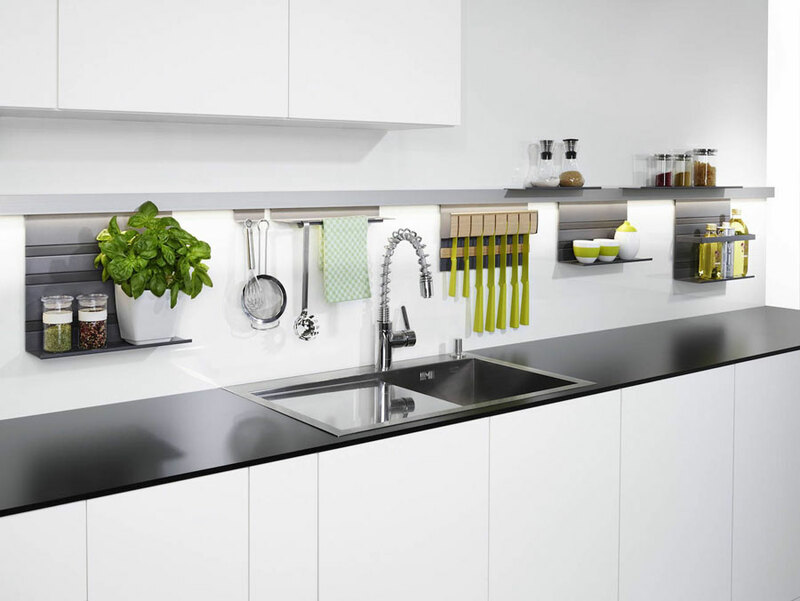 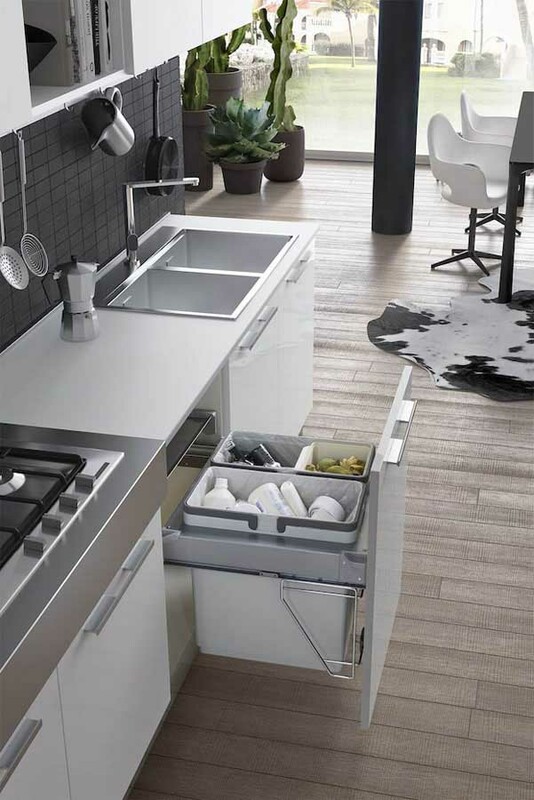 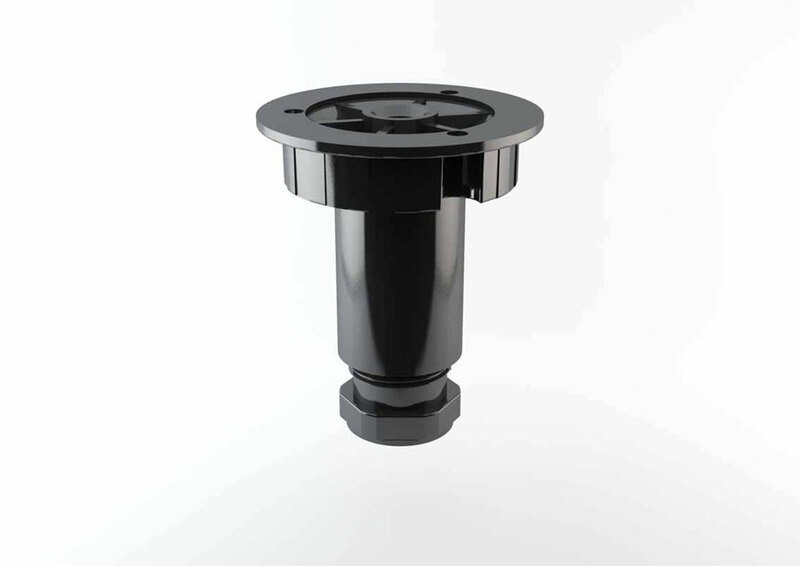 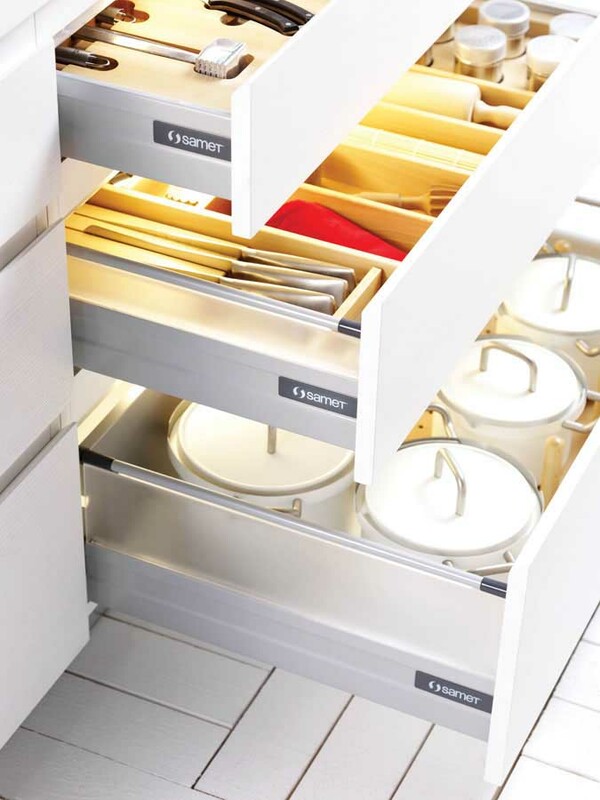 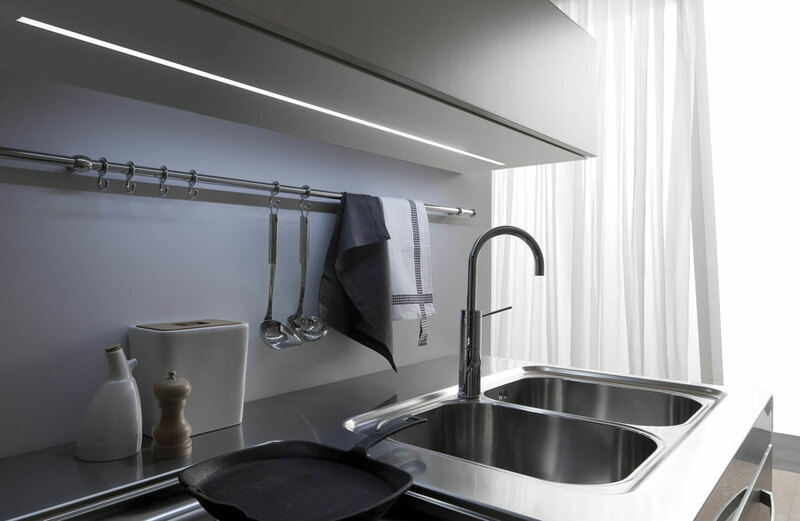 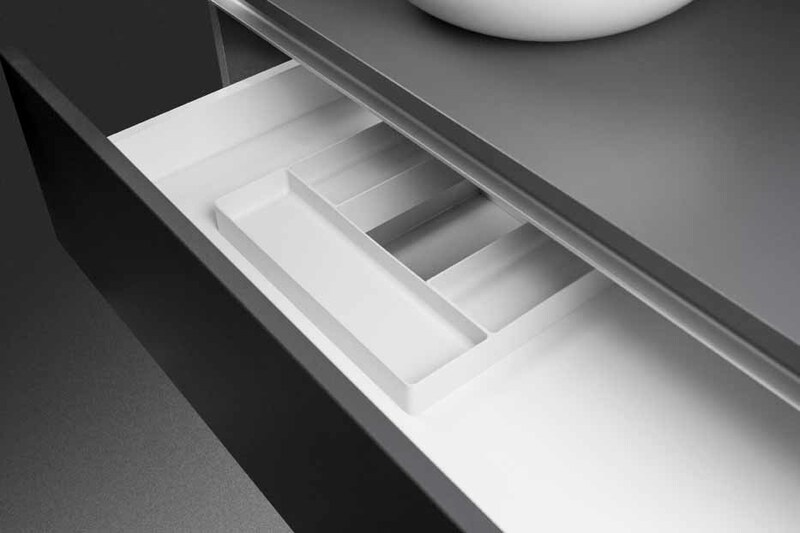 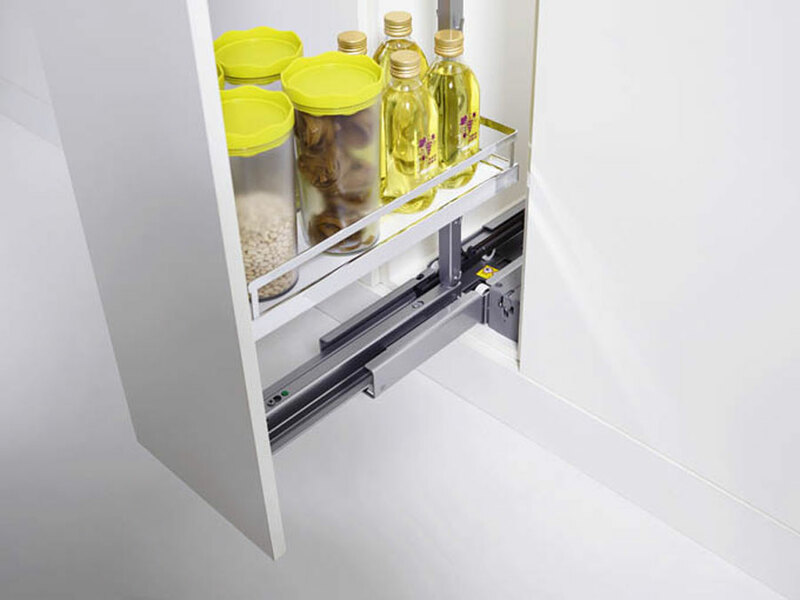 Euro Orvel offers 995, a storage wall for the space siphon of the drawer under the sink in thermoplastic material. 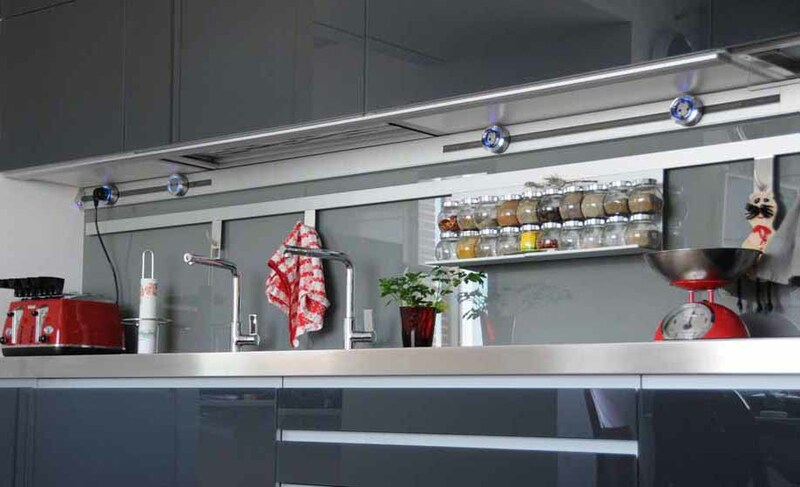 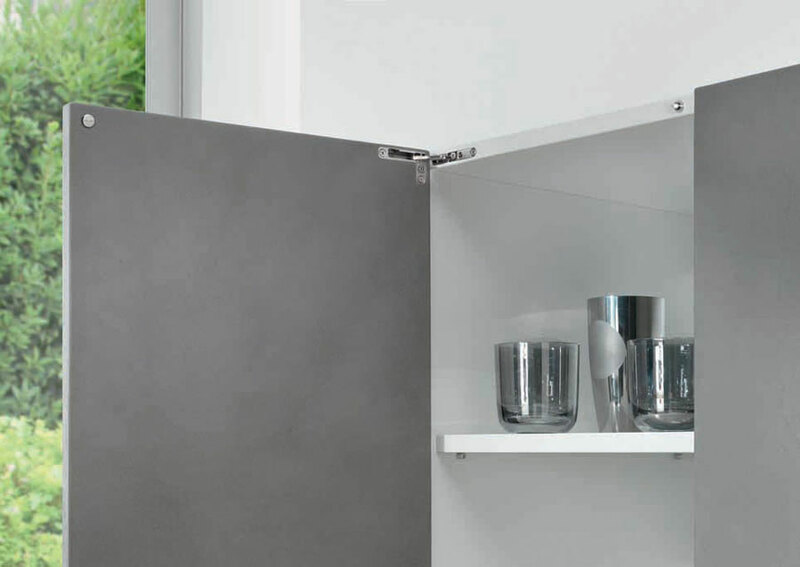 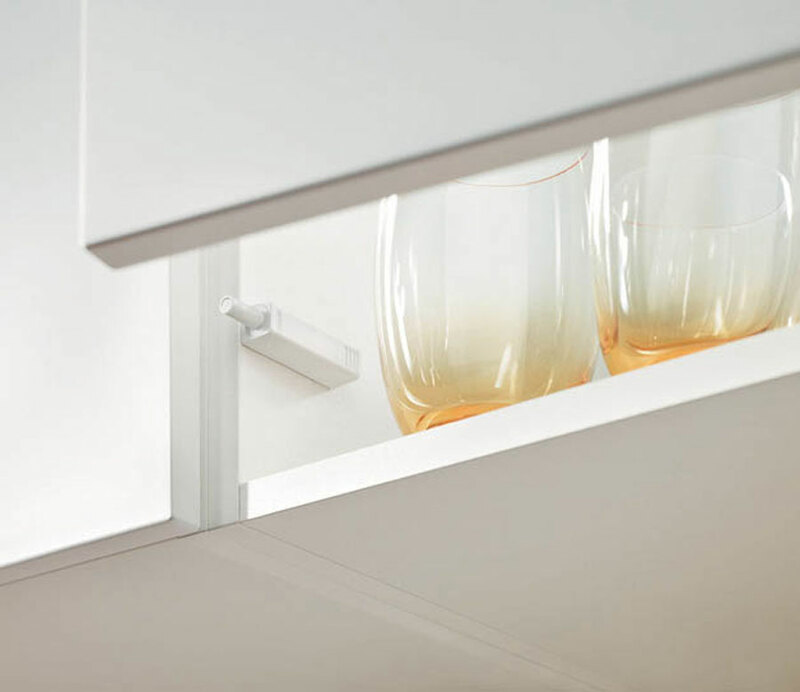 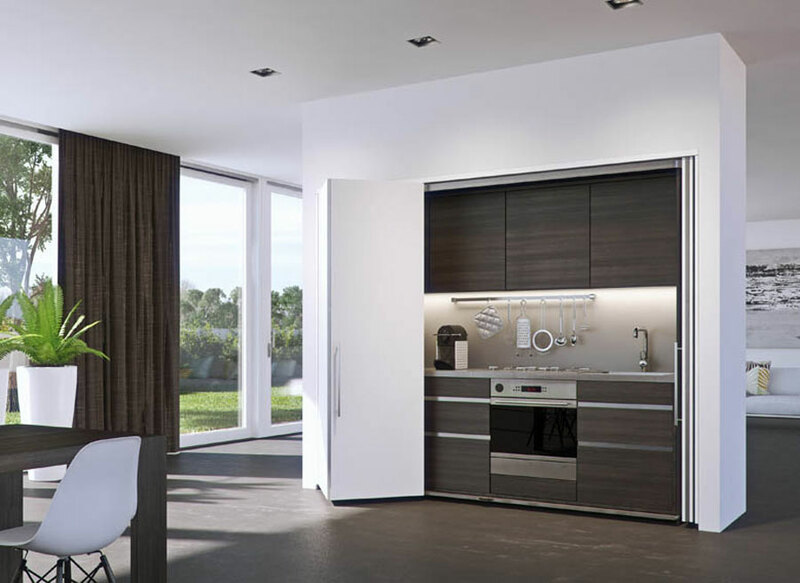 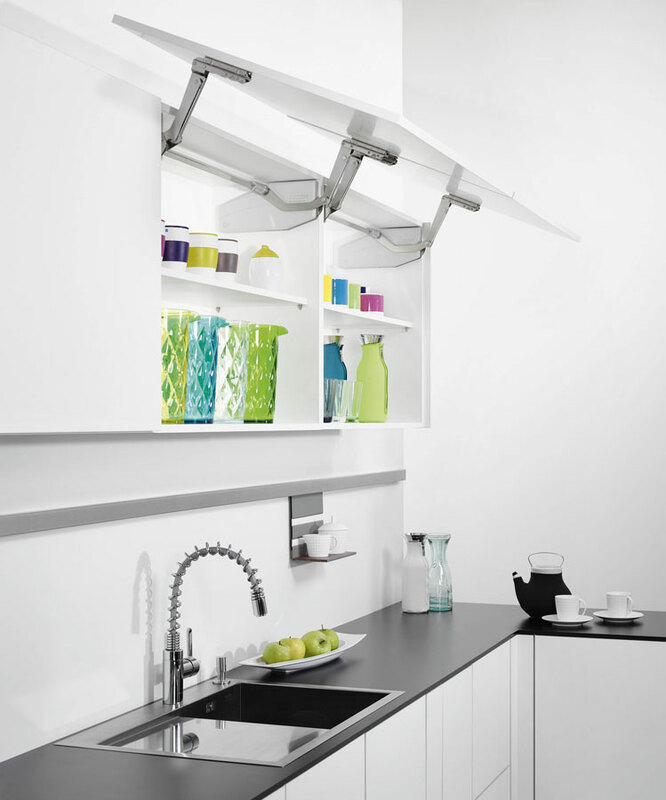 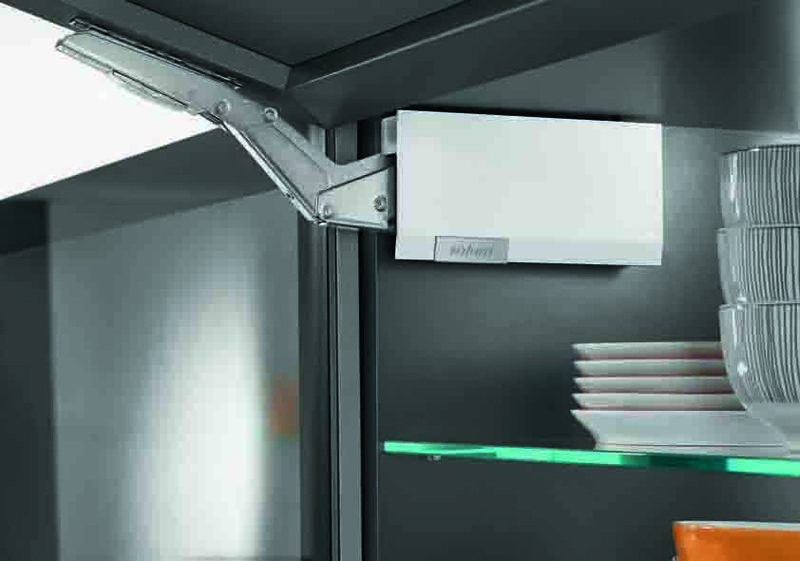 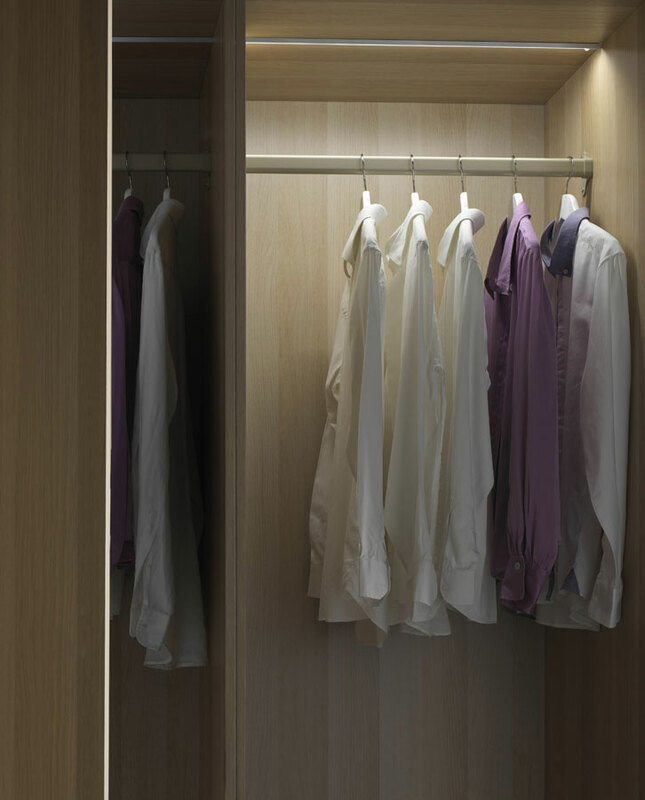 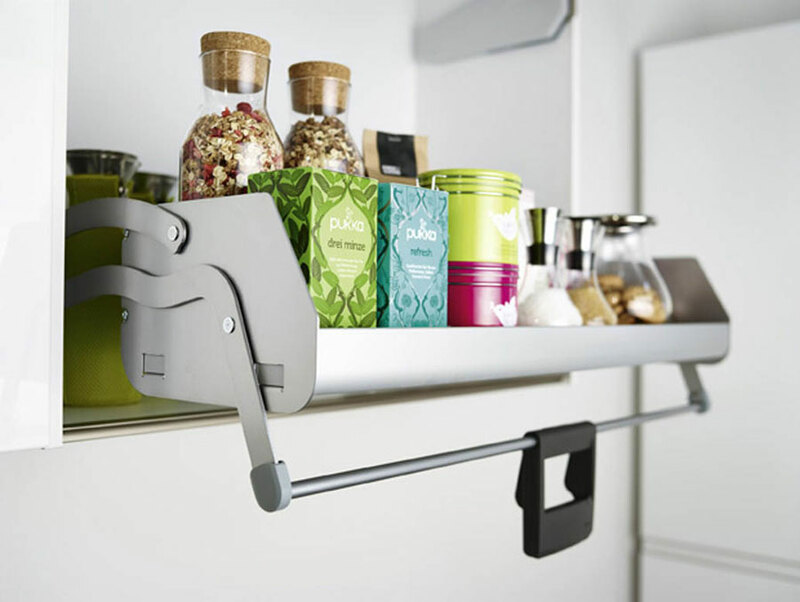 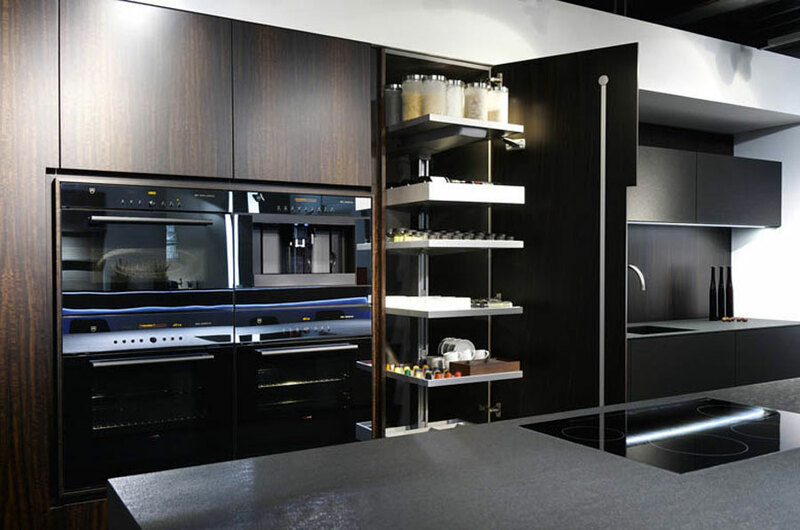 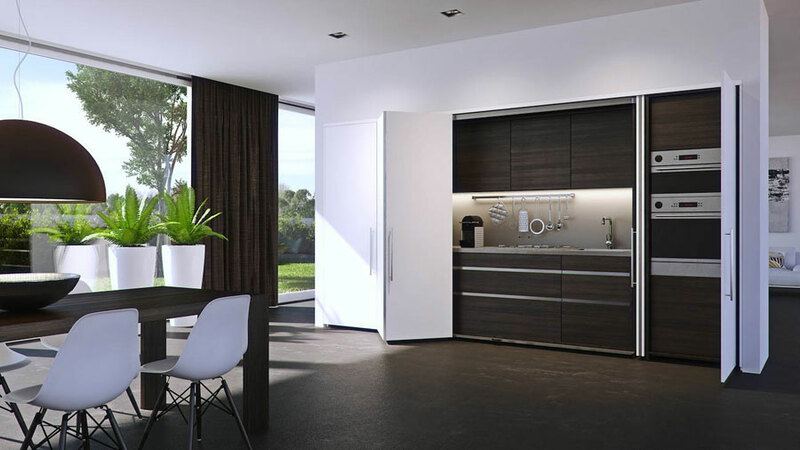 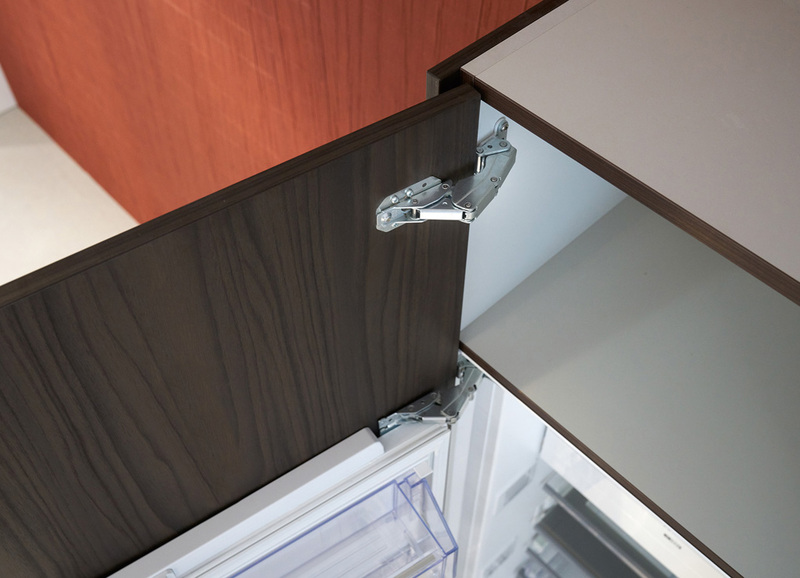 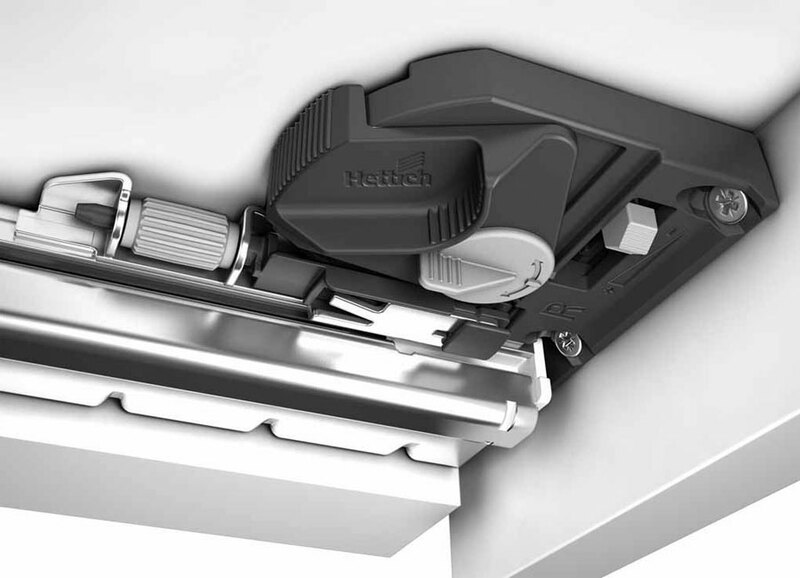 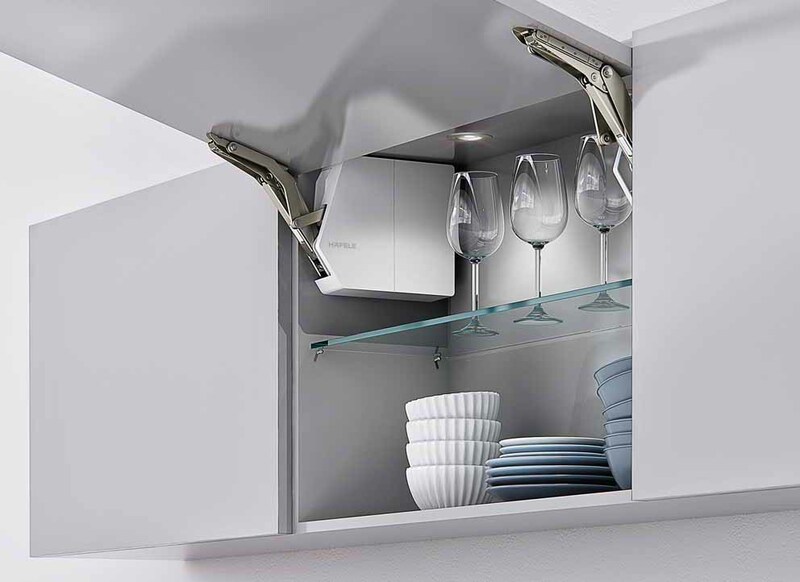 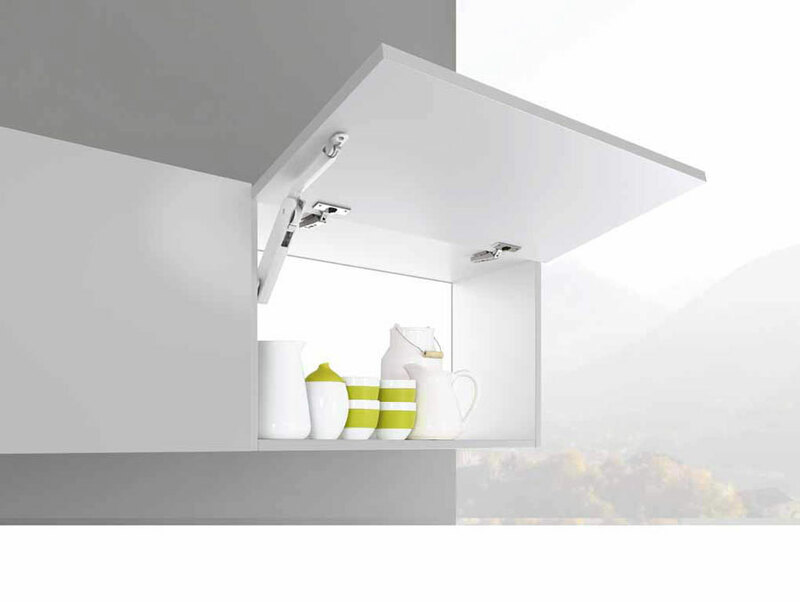 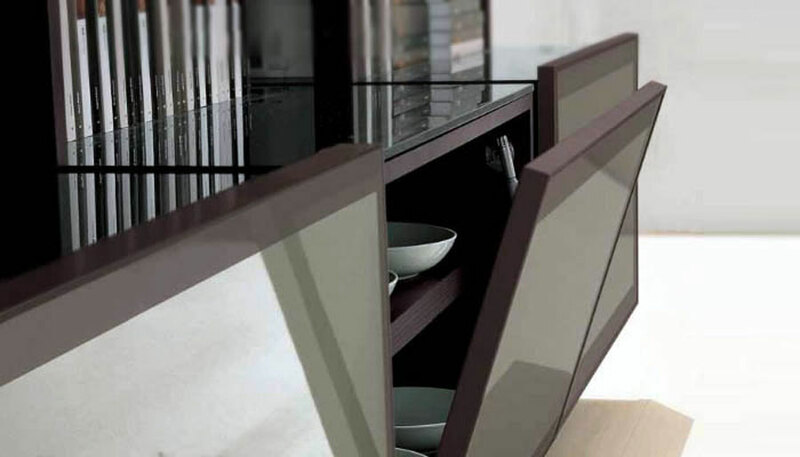 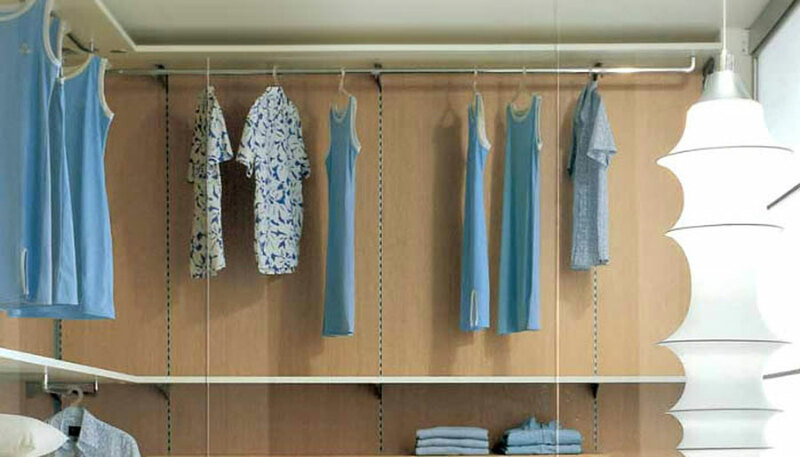 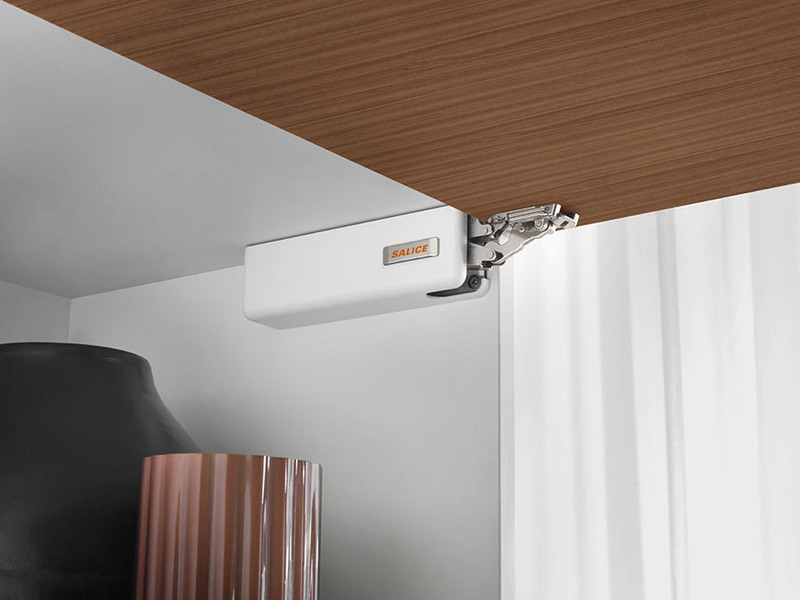 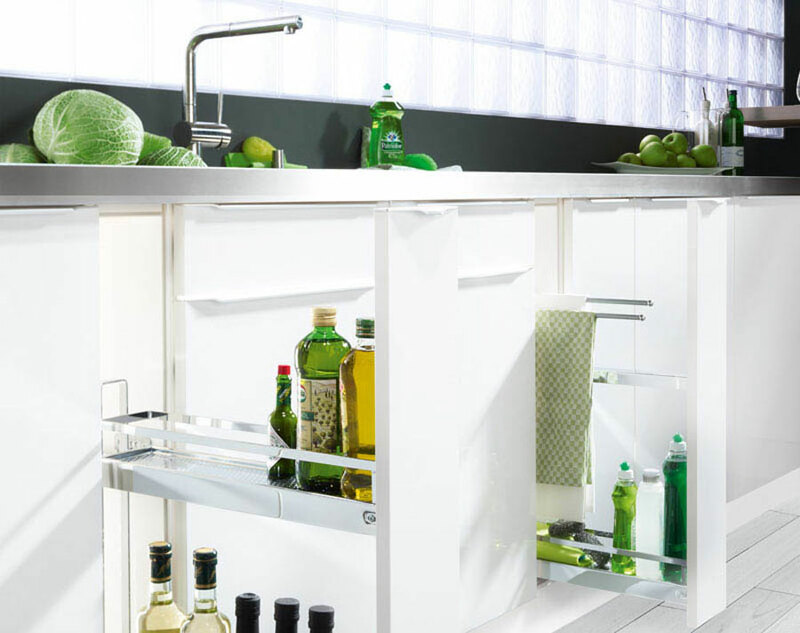 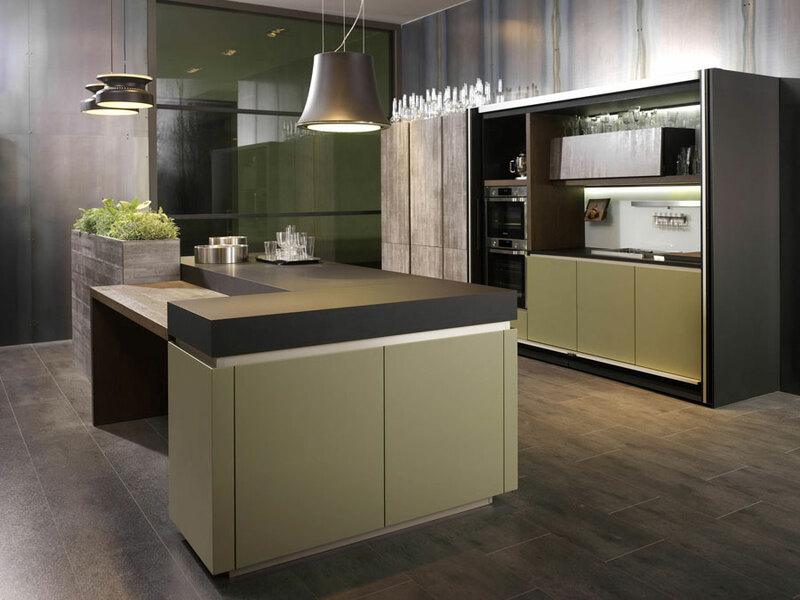 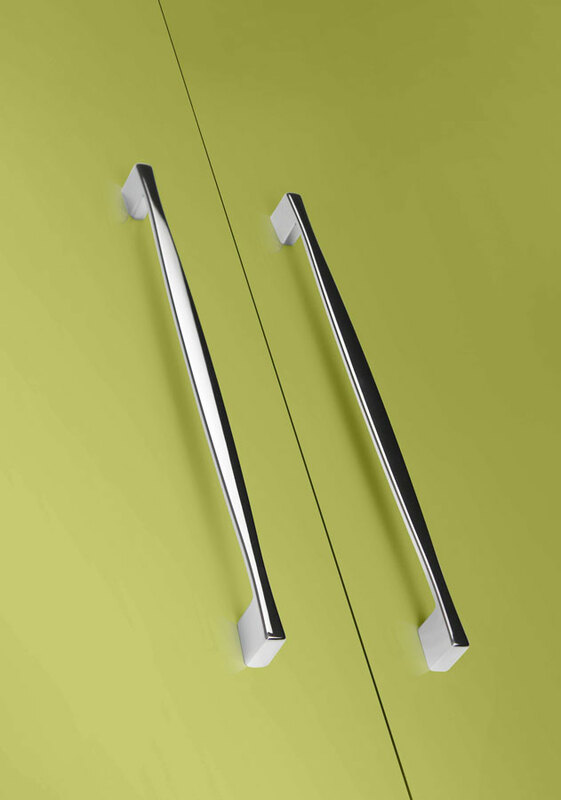 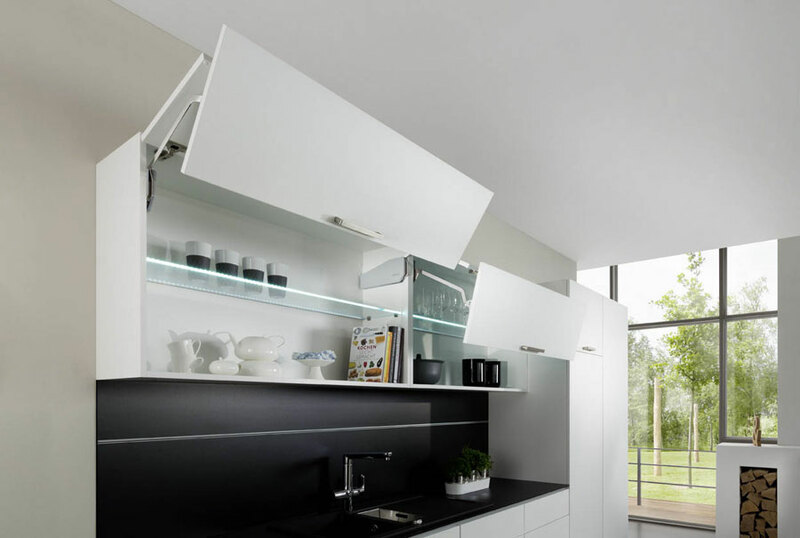 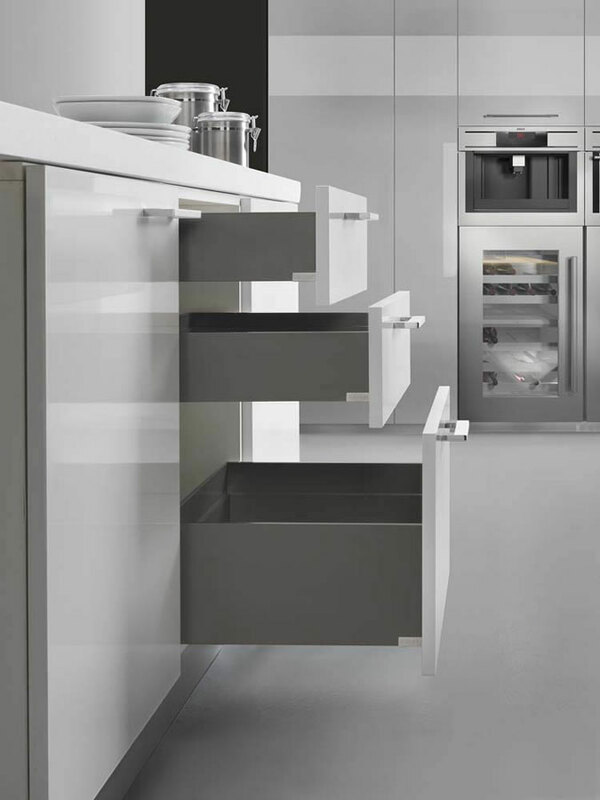 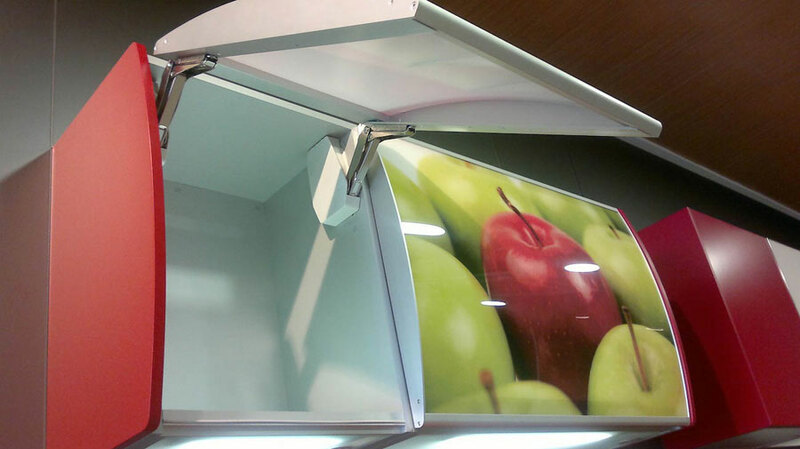 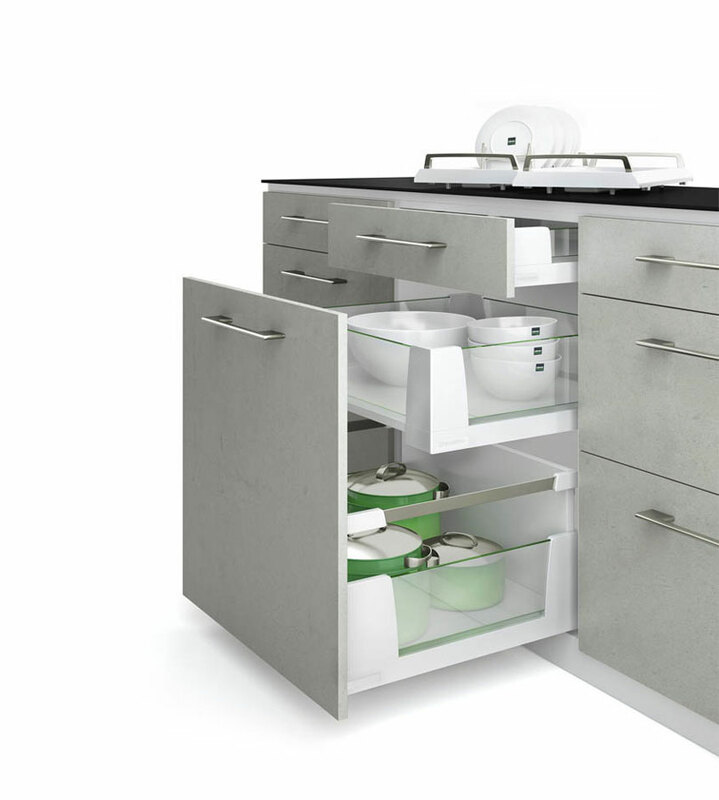 Hettich's Kamat hinge allows high doors to be fitted on built-in refrigerators with direct attachment to the refrigerator door. 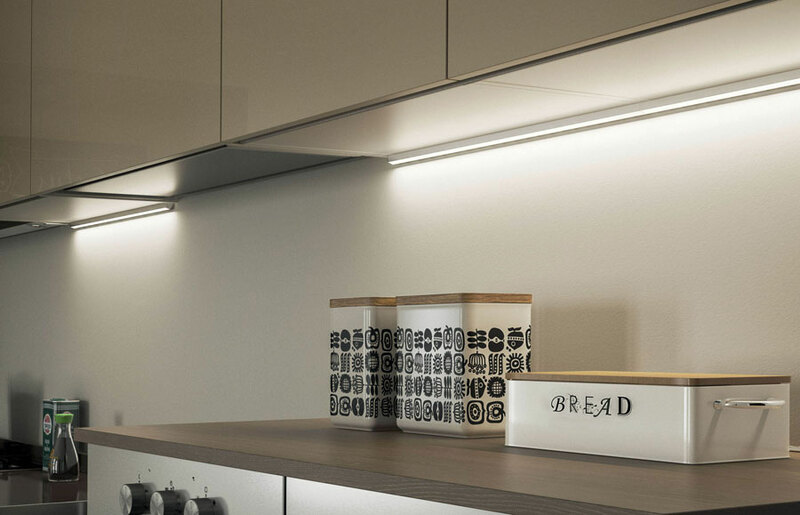 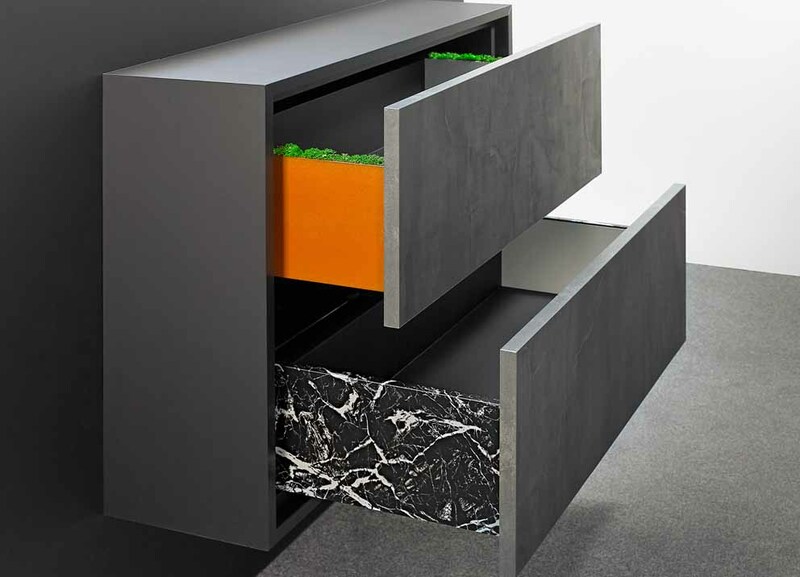 Häfele proposes Moovit MX, an extremely versatile modular drawer system with continuous, silent damper and an invisible stop. 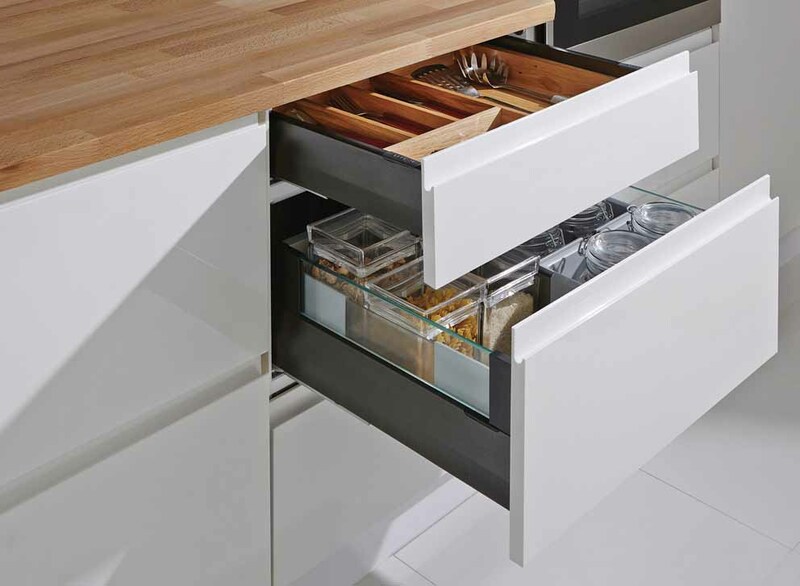 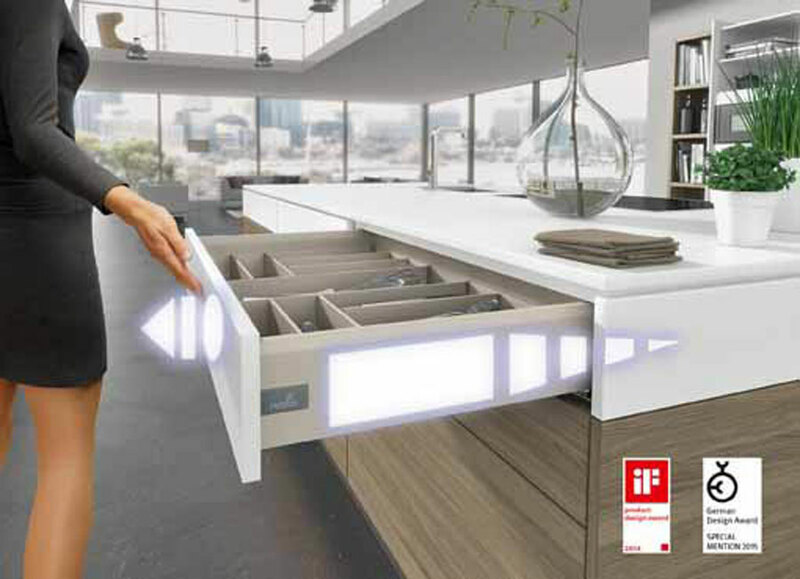 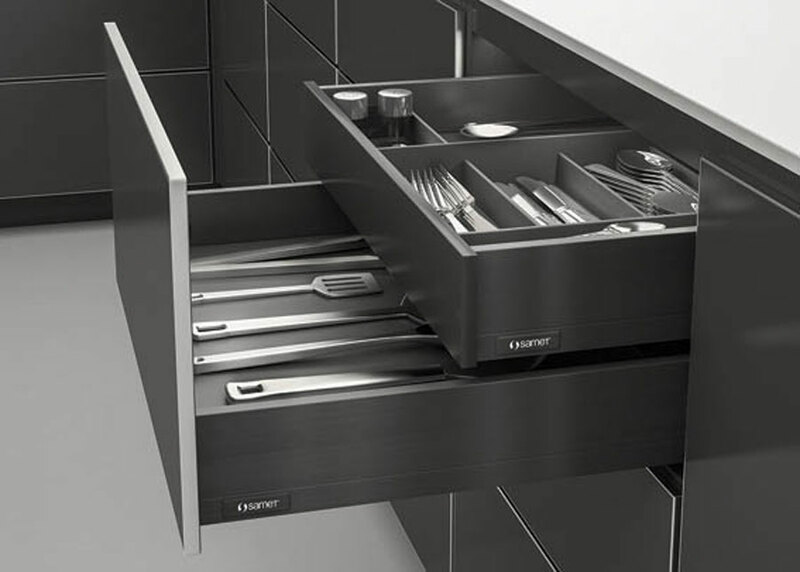 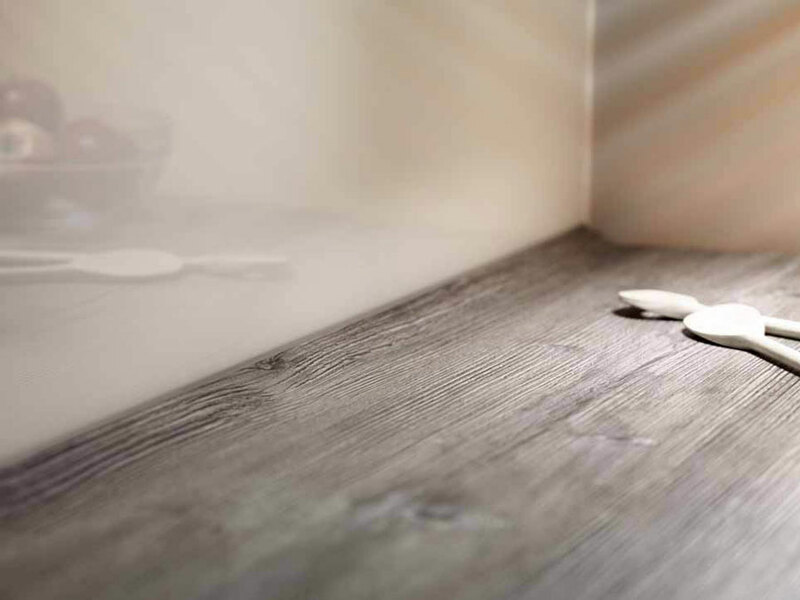 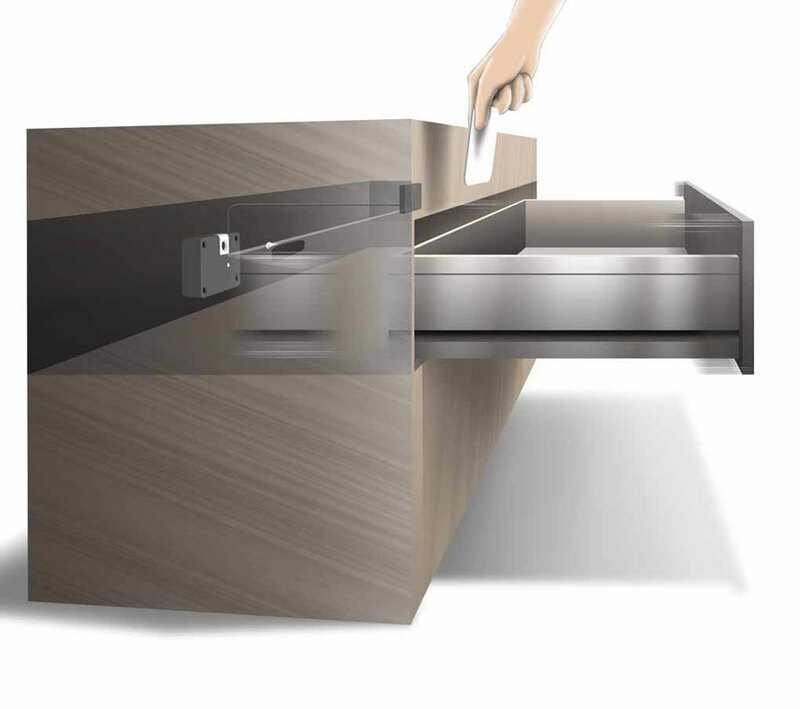 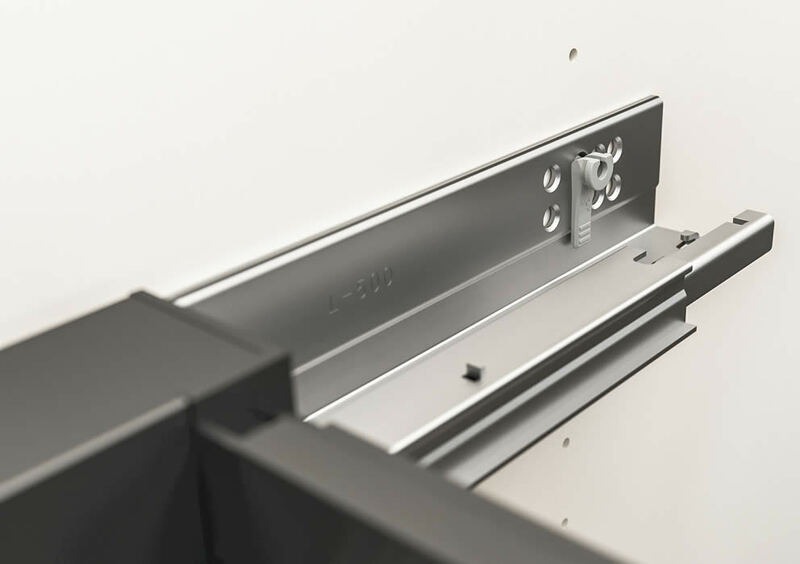 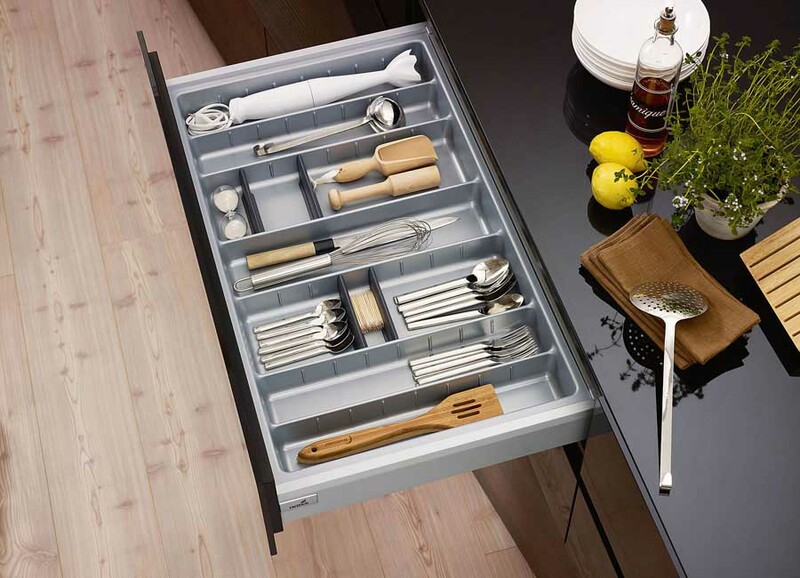 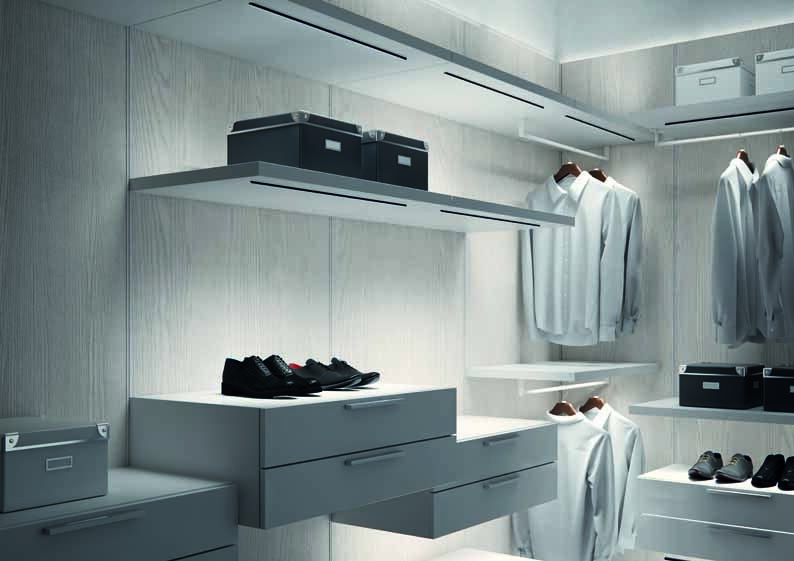 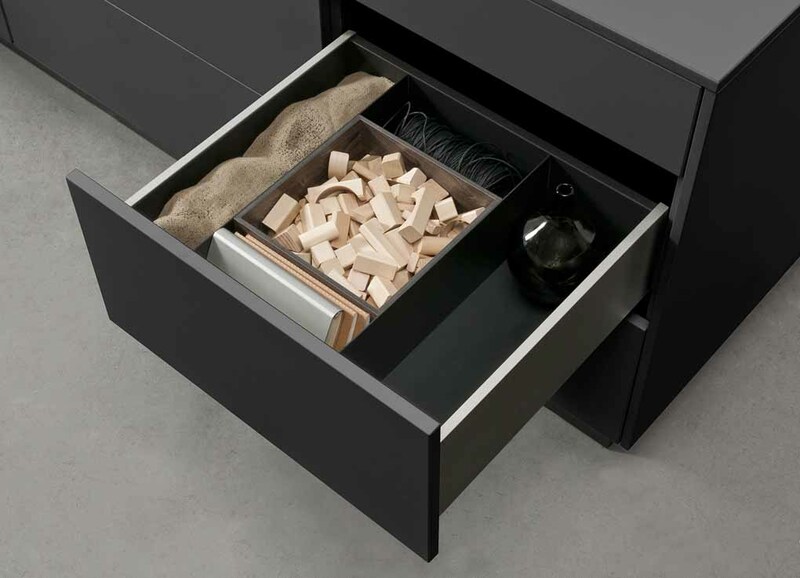 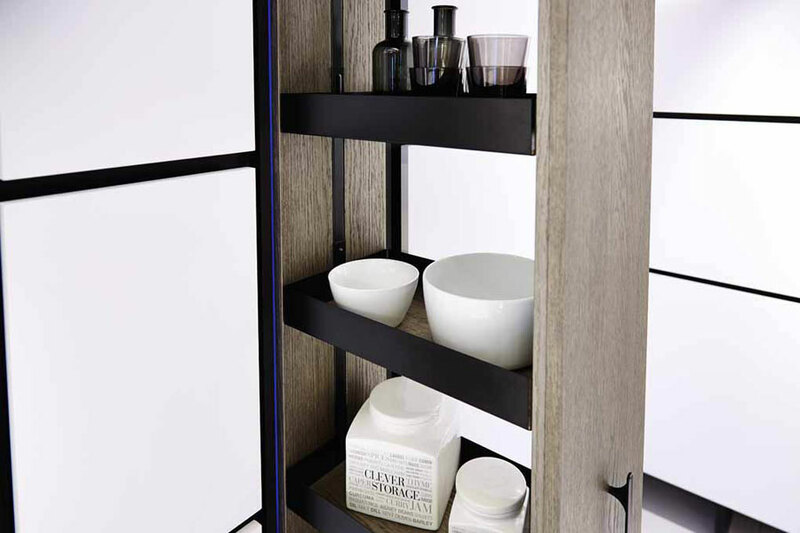 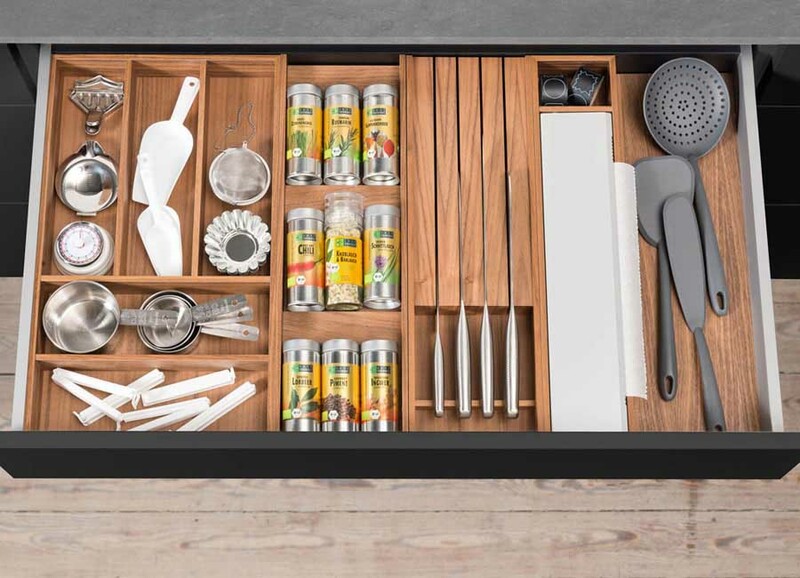 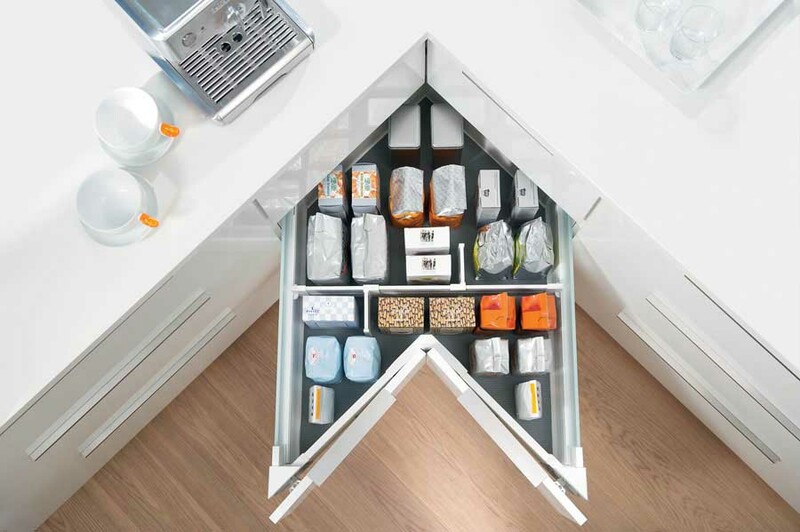 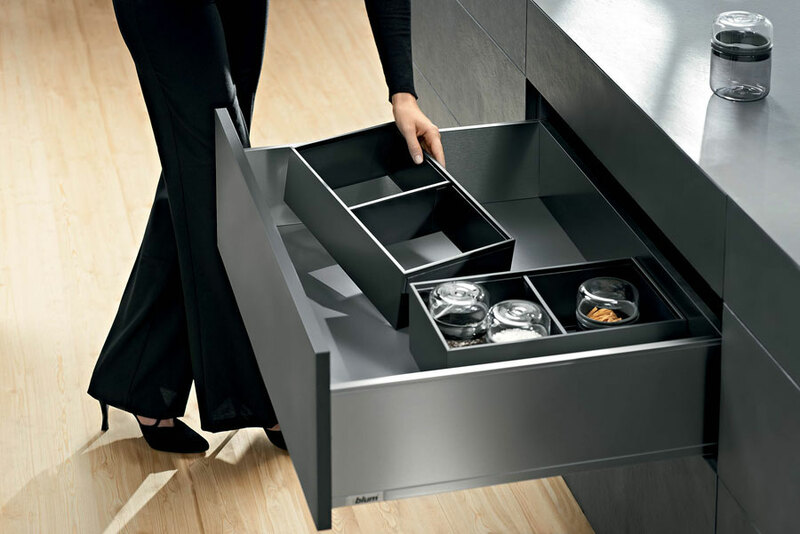 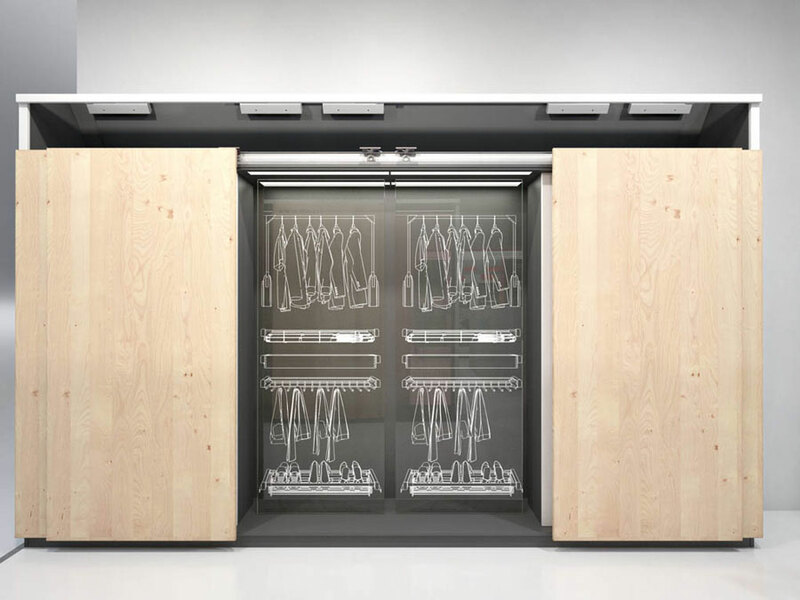 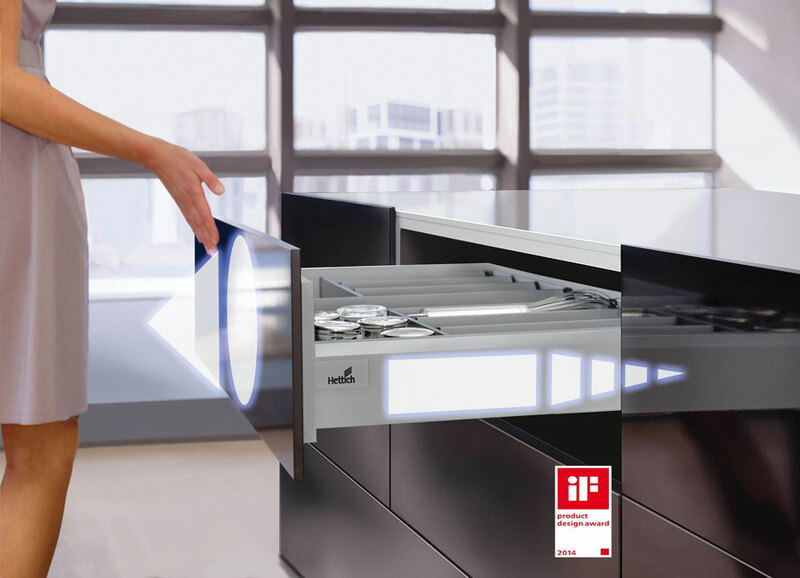 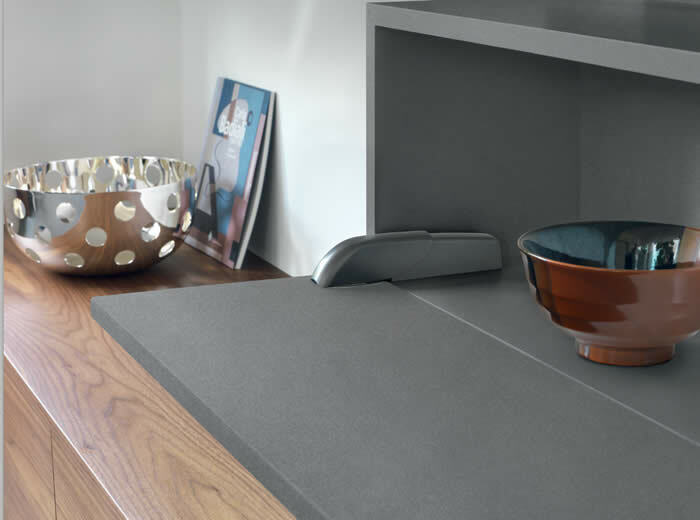 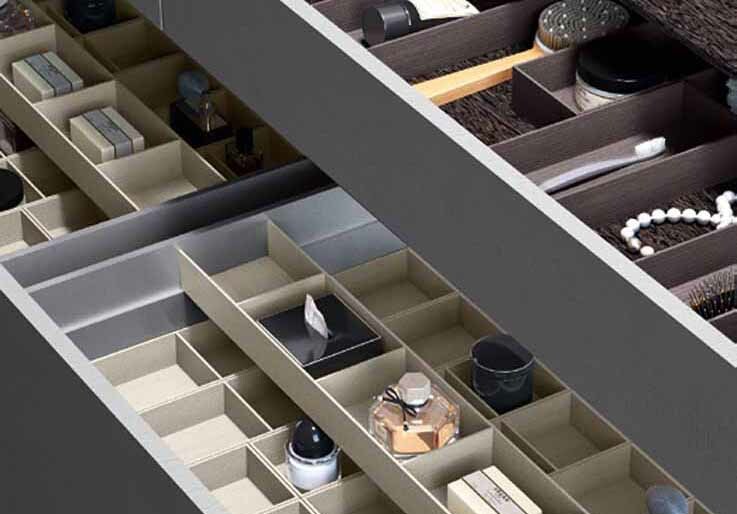 Thanks to Tandembox and Legrabox drawer systems, Blum offers a complete package with numerous design and customization possibilities. 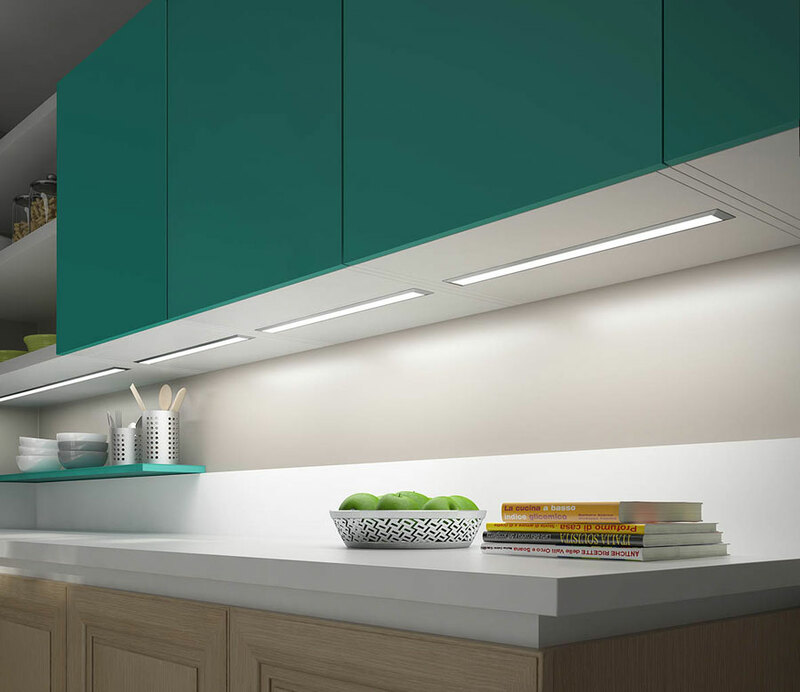 For both systems new colours and additional designs are proposed. 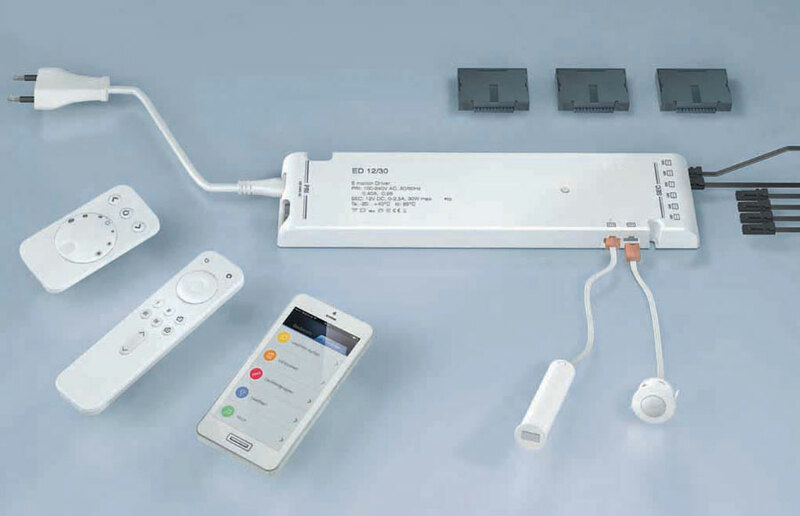 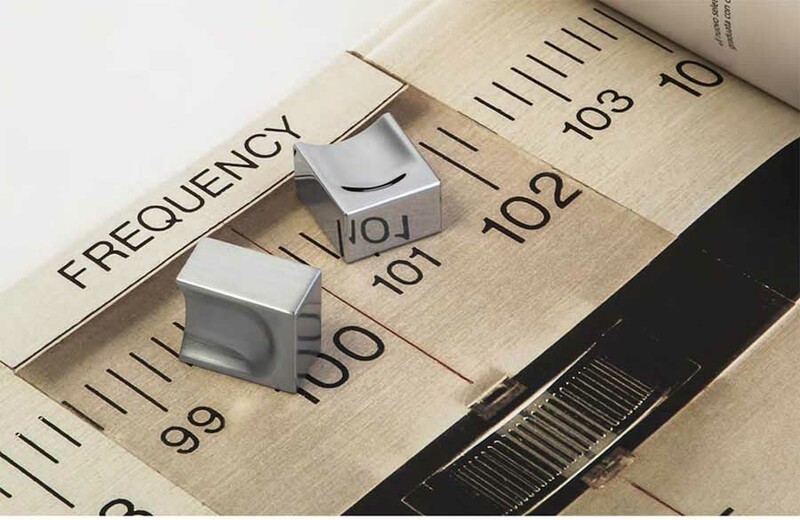 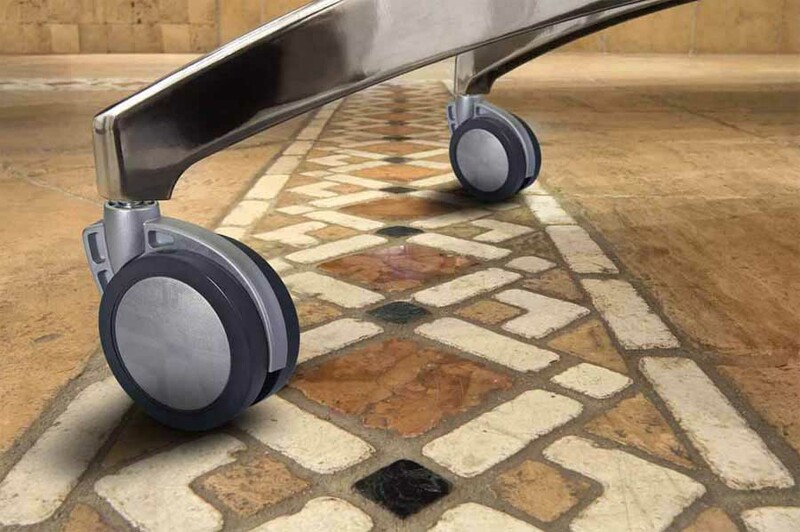 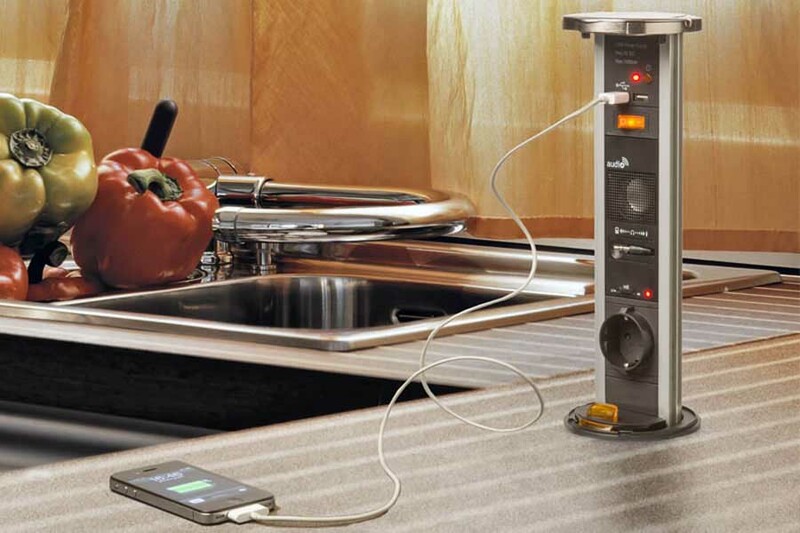 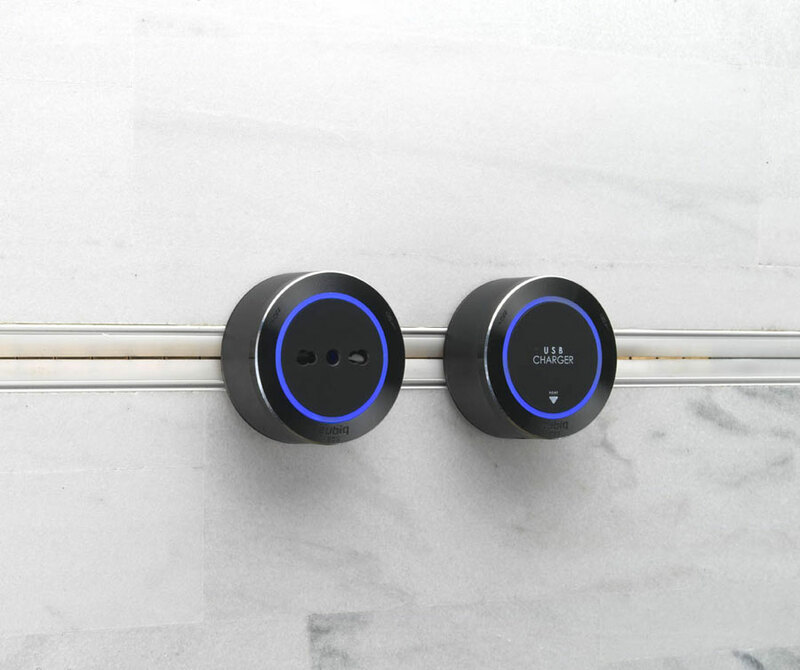 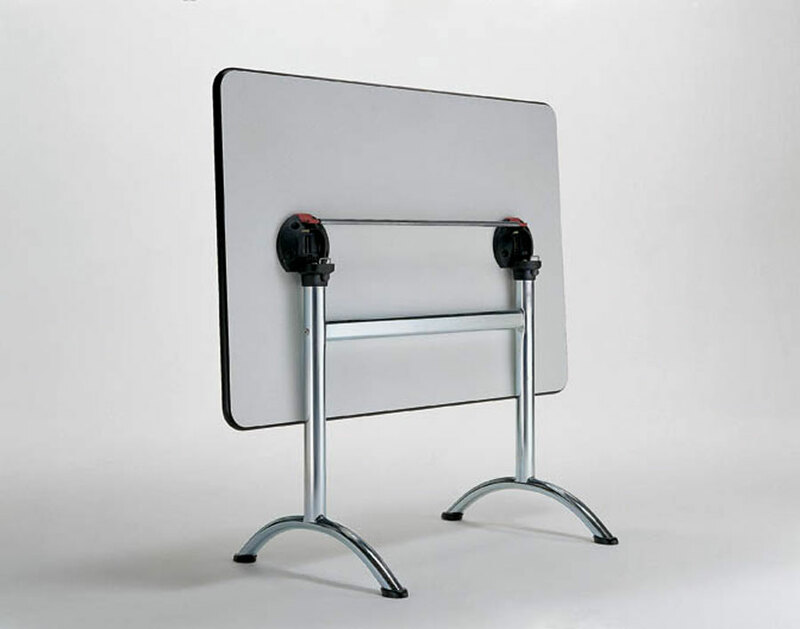 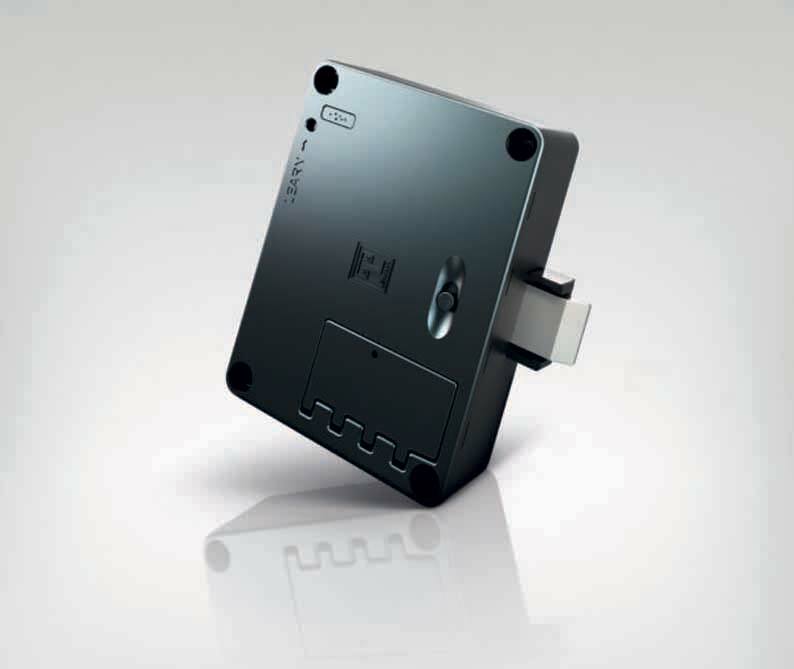 Eubiq track aluminium profiles allow portable management of electric current: insert the adapter into the electrified profile, turn it clockwise and the outlet point will be active. 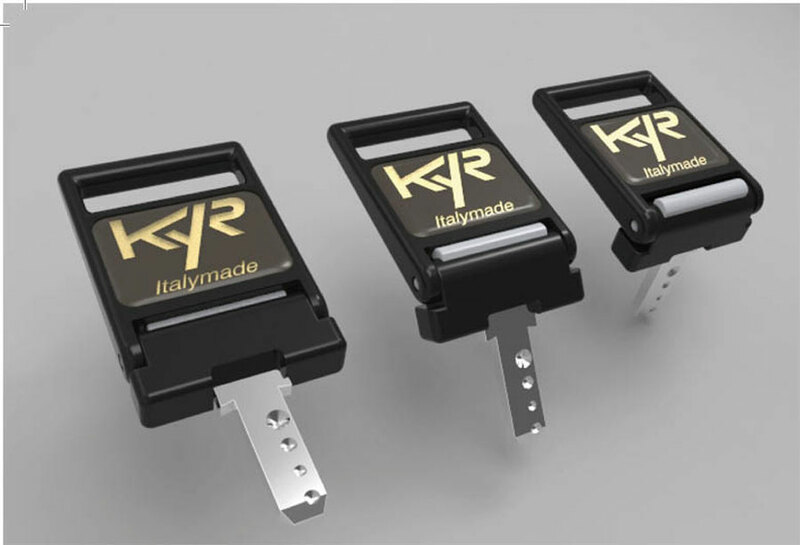 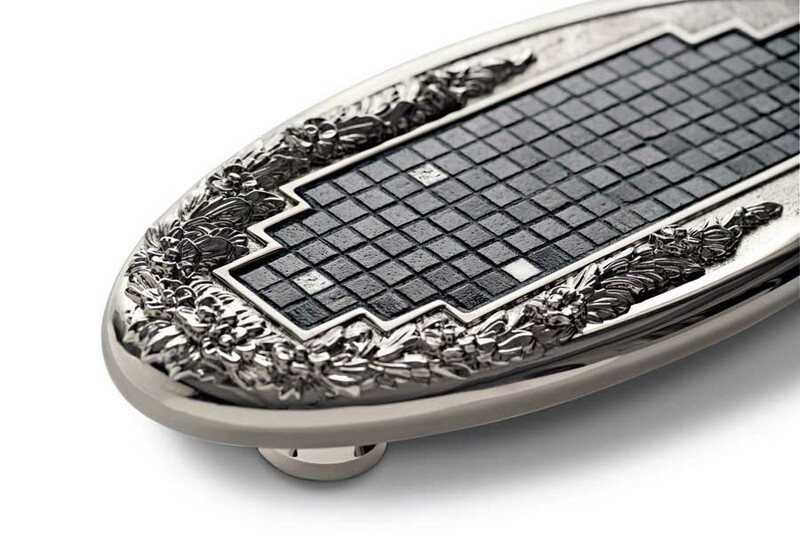 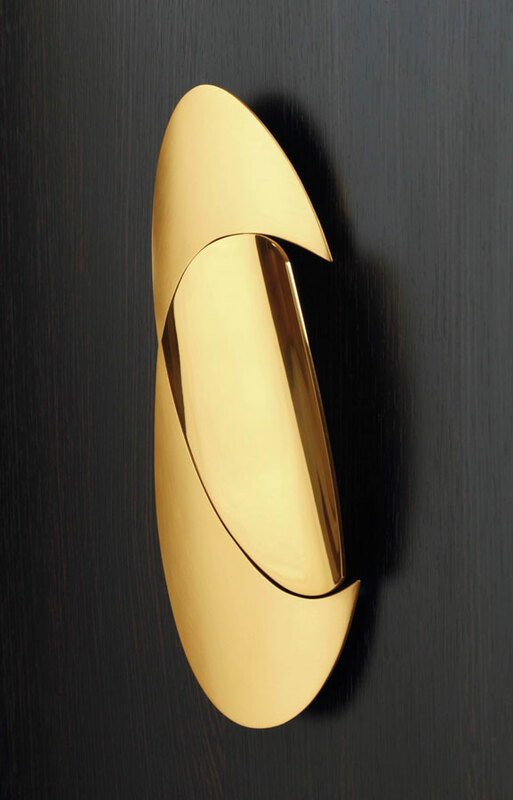 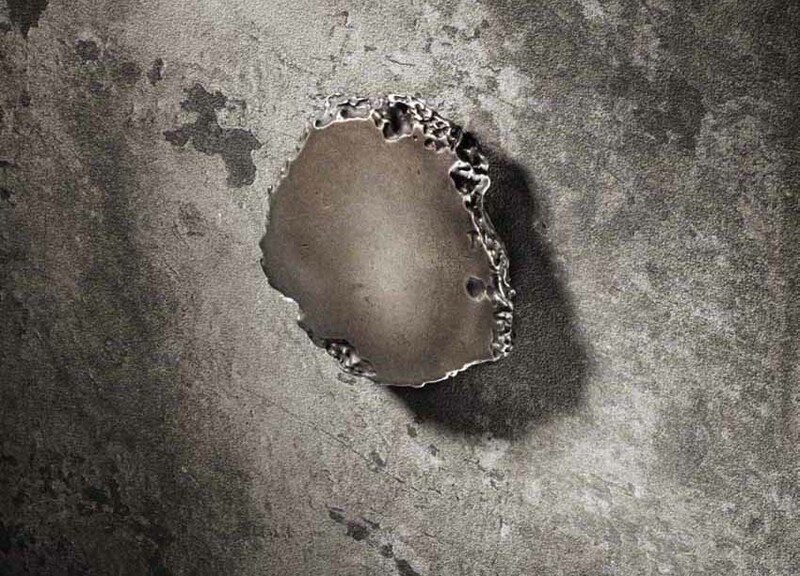 Pamar offers the Gem Collection, an original and cultured interpretation of handles and knobs, precious and refined like jewelry, entrusted to the creative hand of Giorgio Vigna. 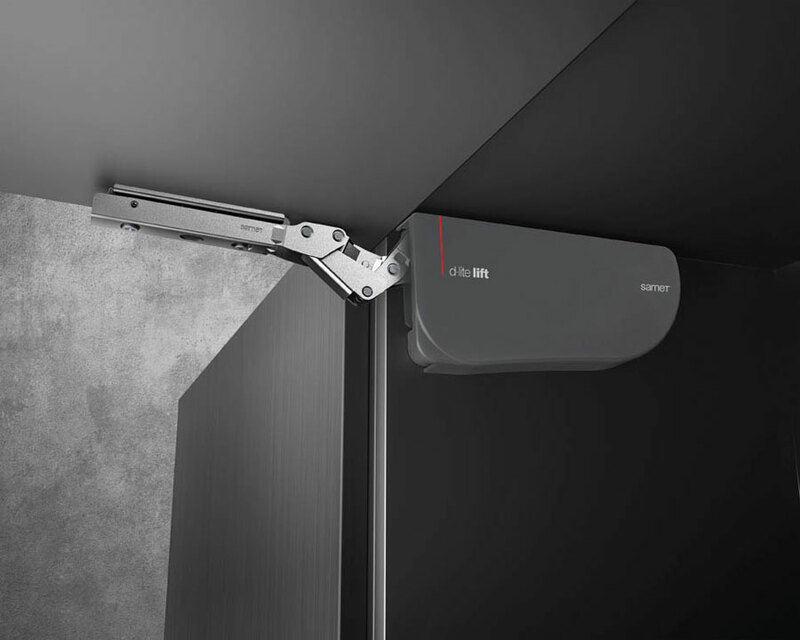 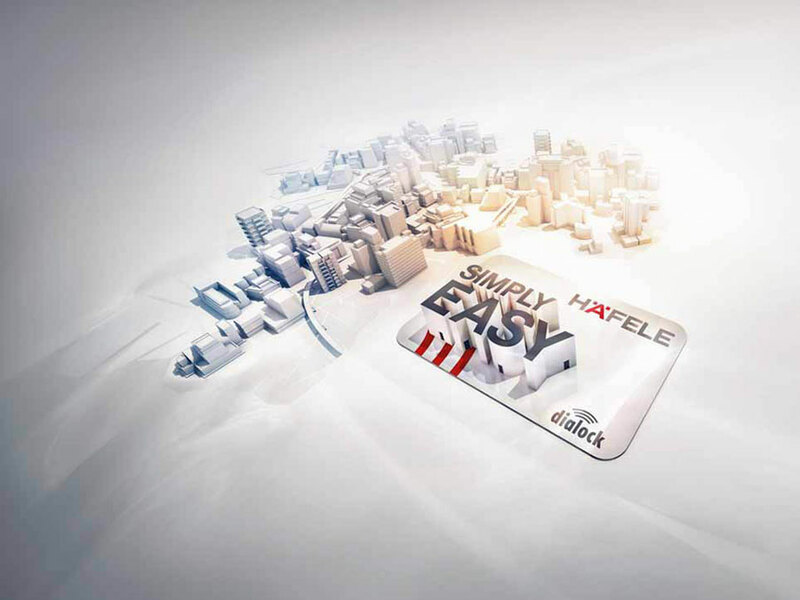 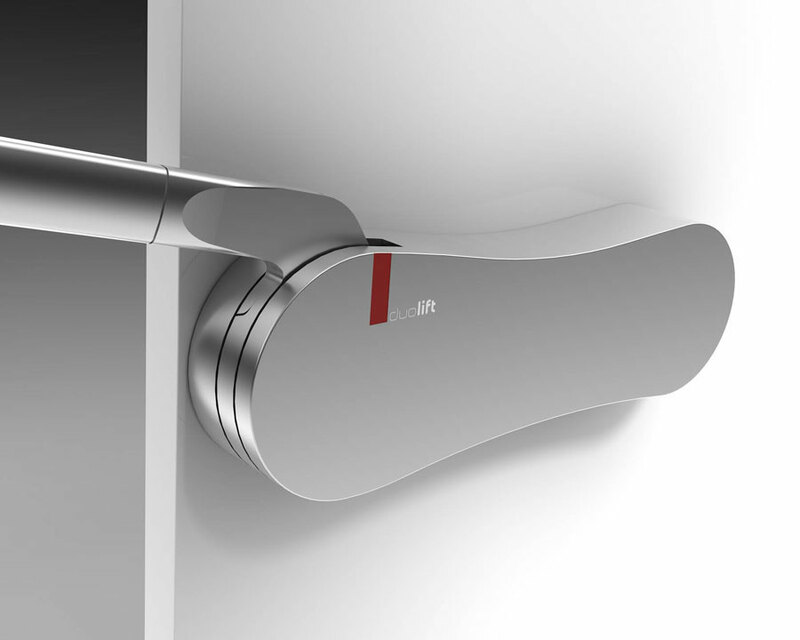 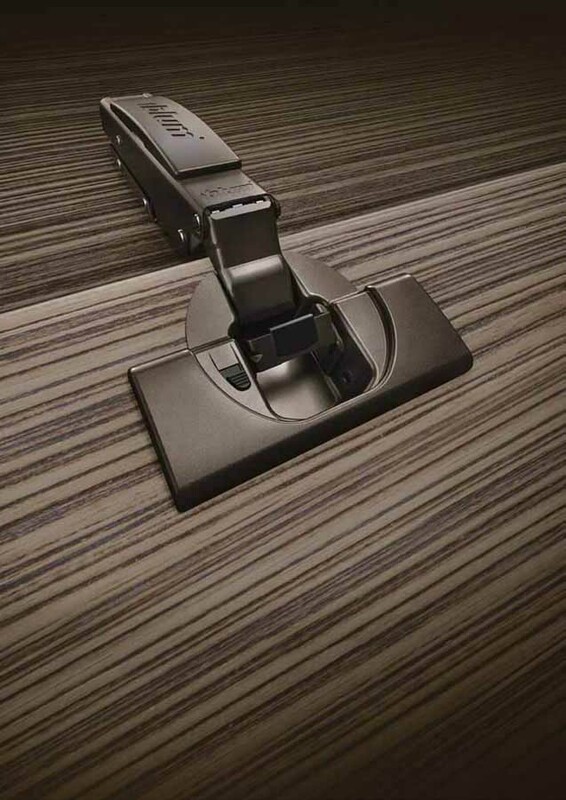 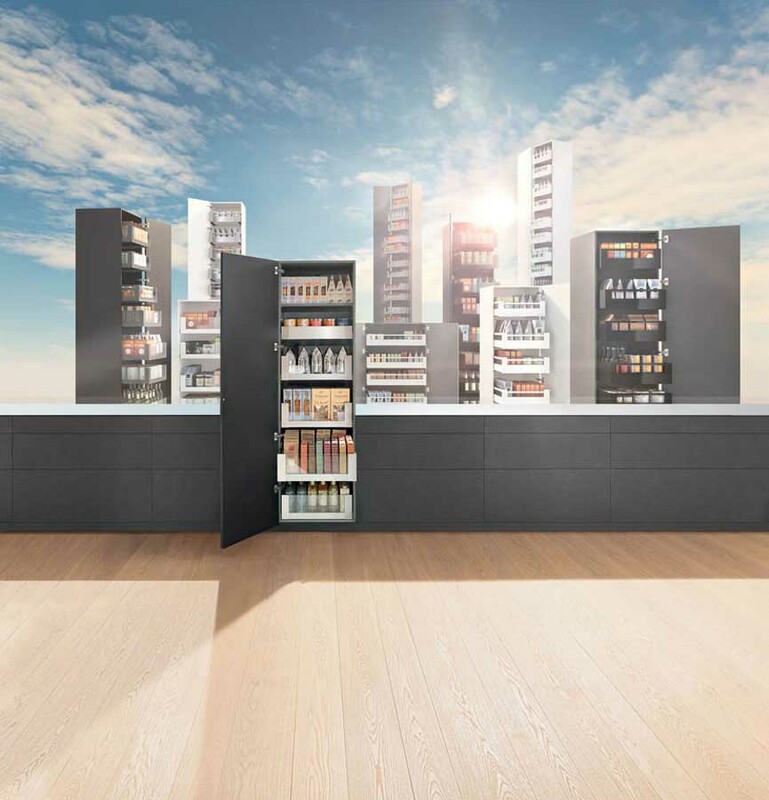 Lehmann presented at Interzum the new M410, a compact, state-of-the-art and electronic lock and SVS central locking system with rollover sensing. 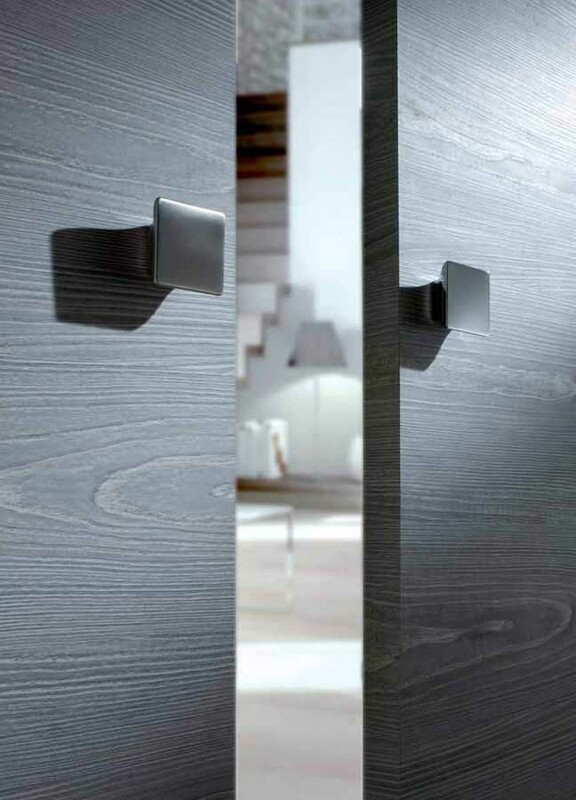 Marella Design introduced new handmade collections to Interzum, thus expanding the "Modern" range with new models which connect the simplicity of the shapes to unique and typical details. 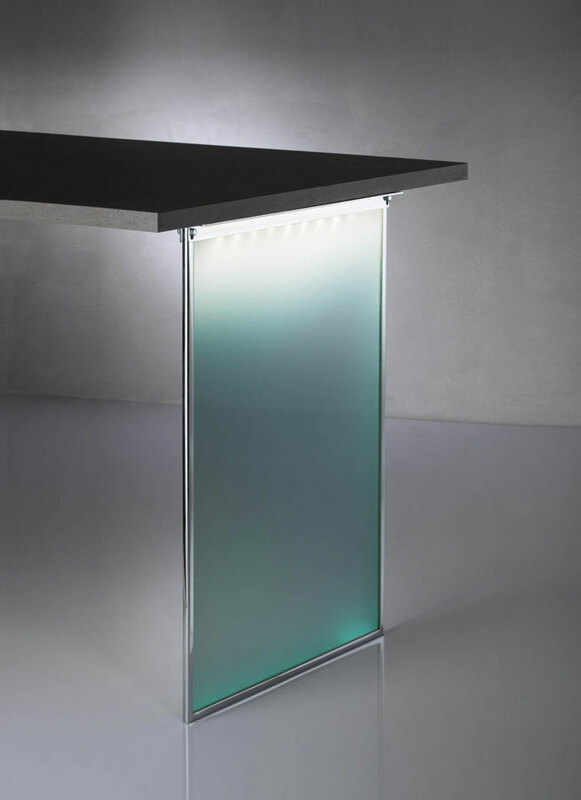 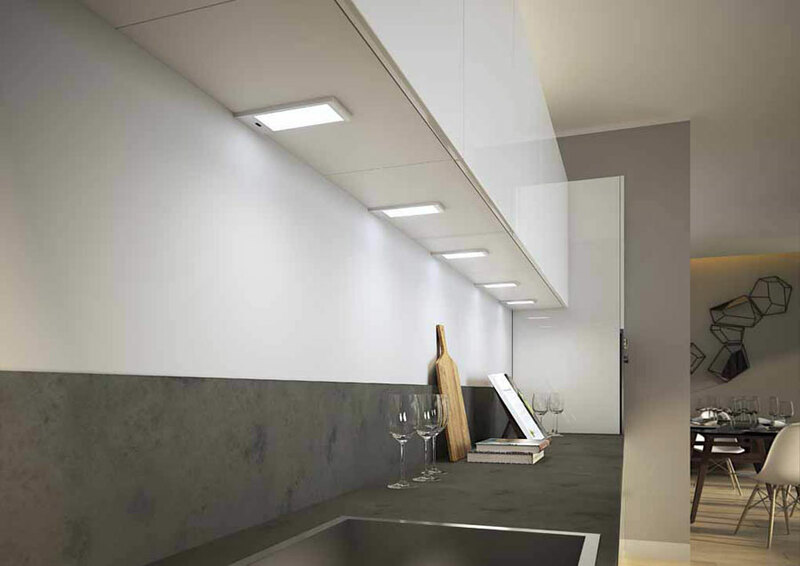 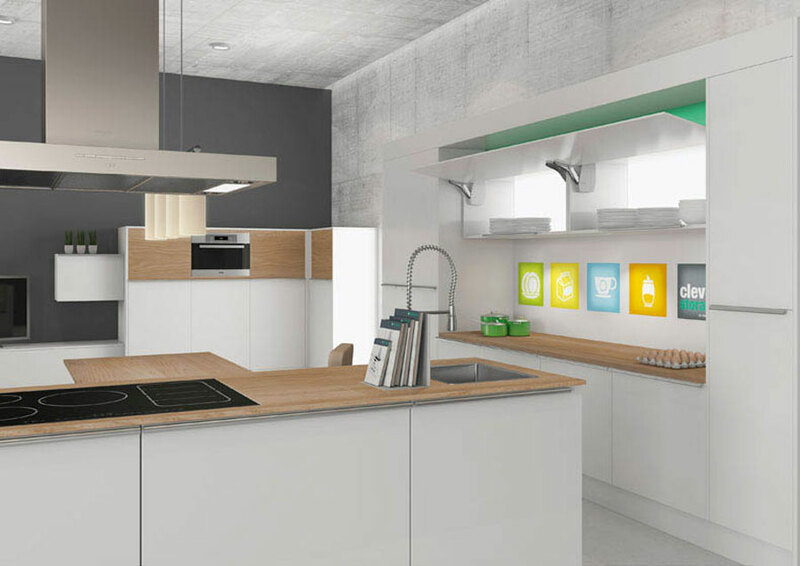 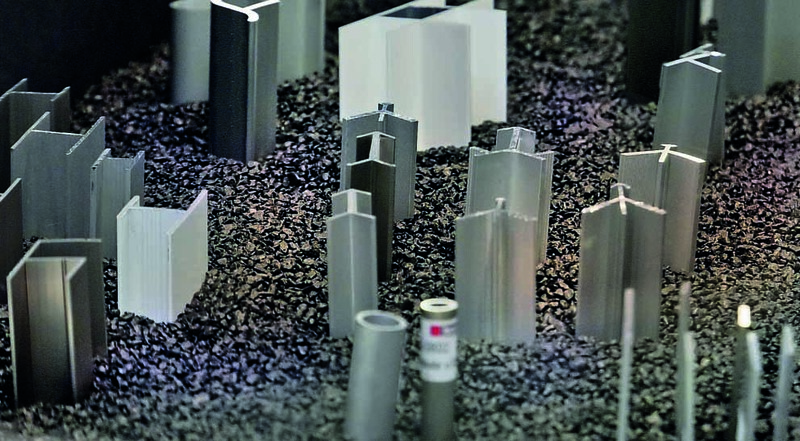 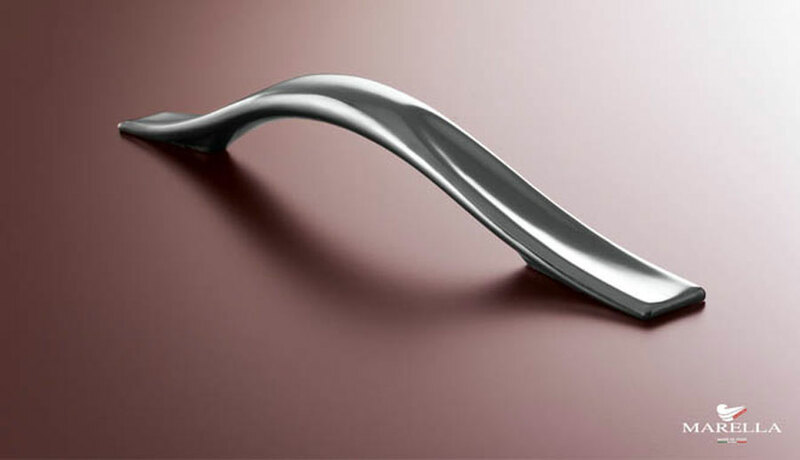 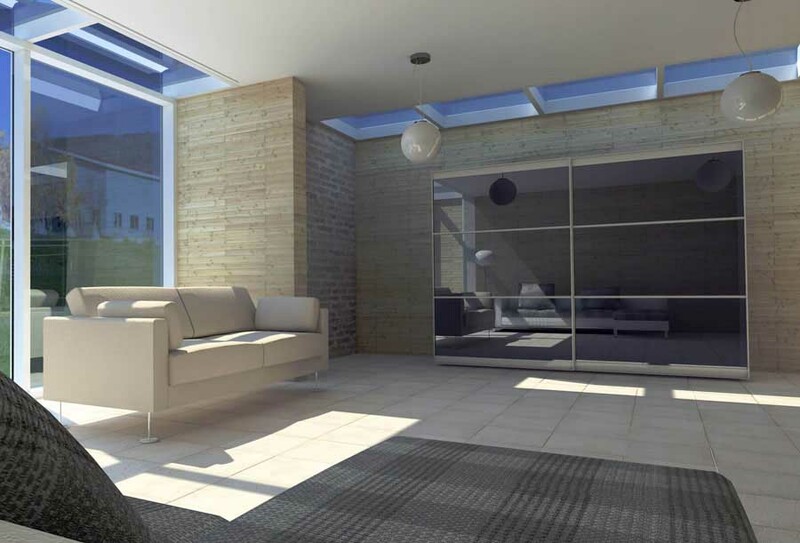 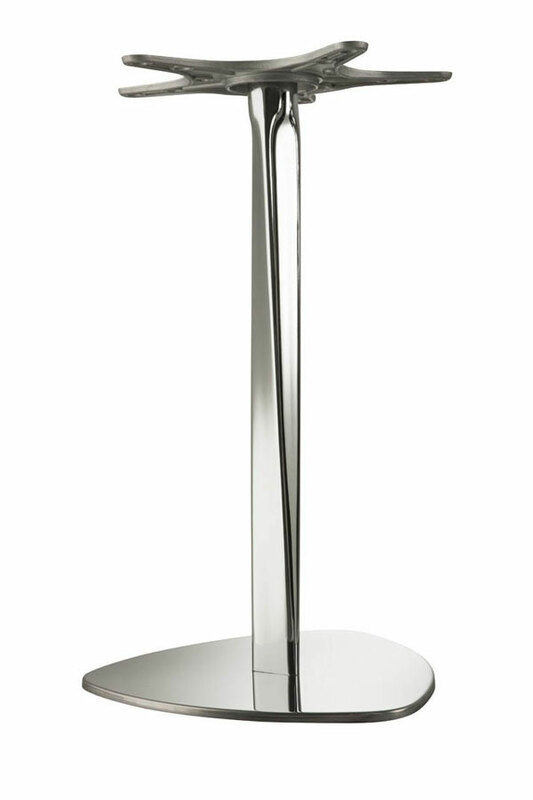 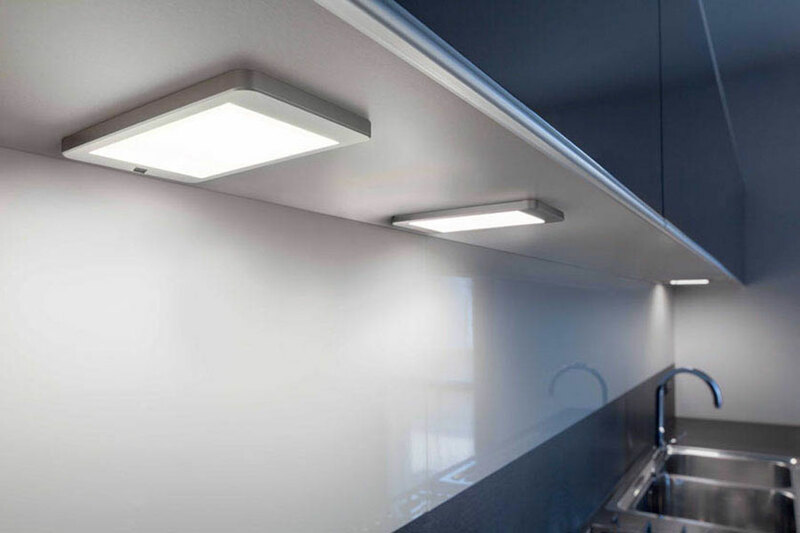 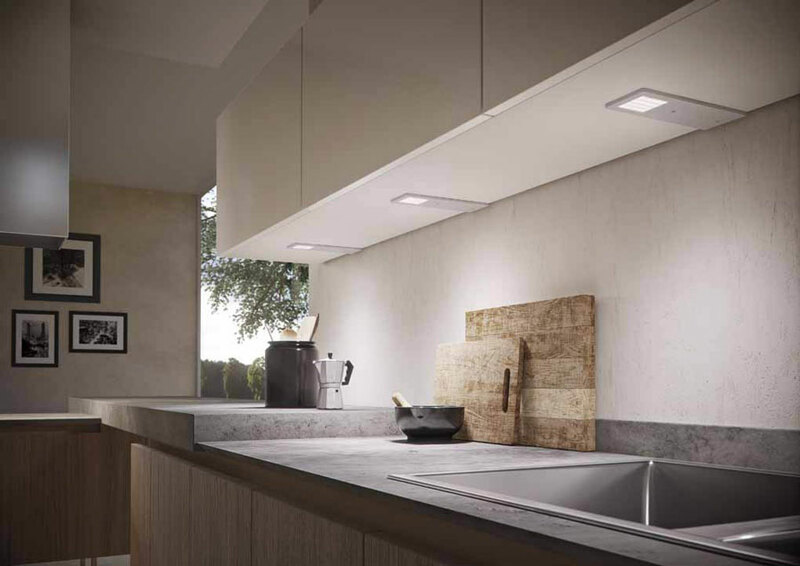 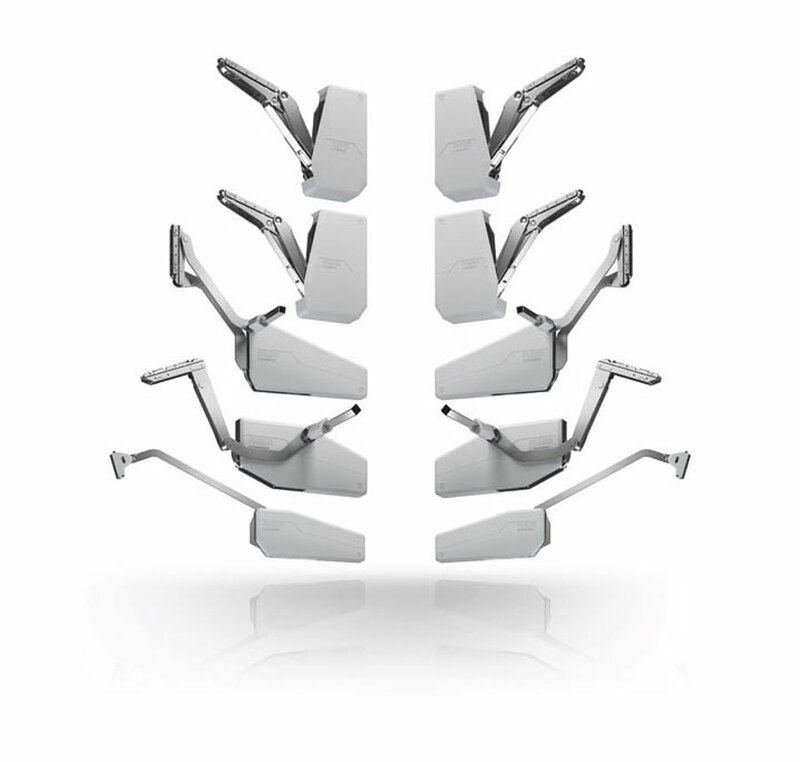 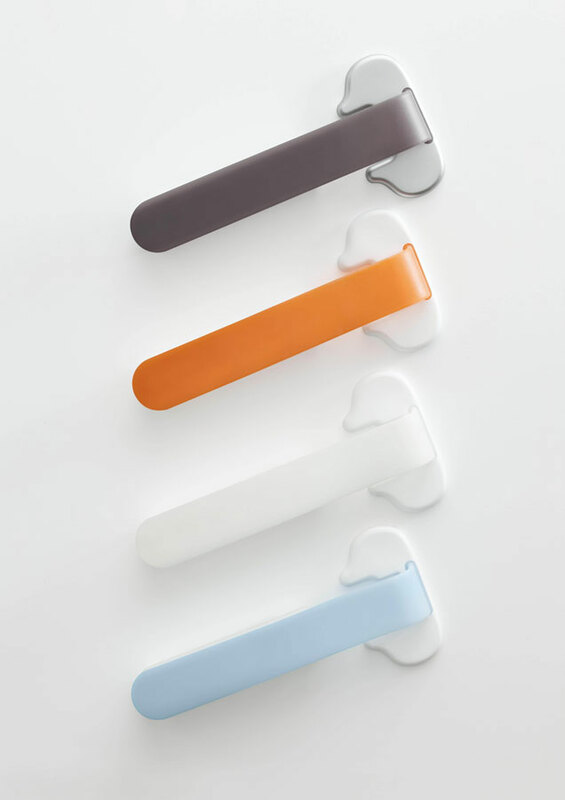 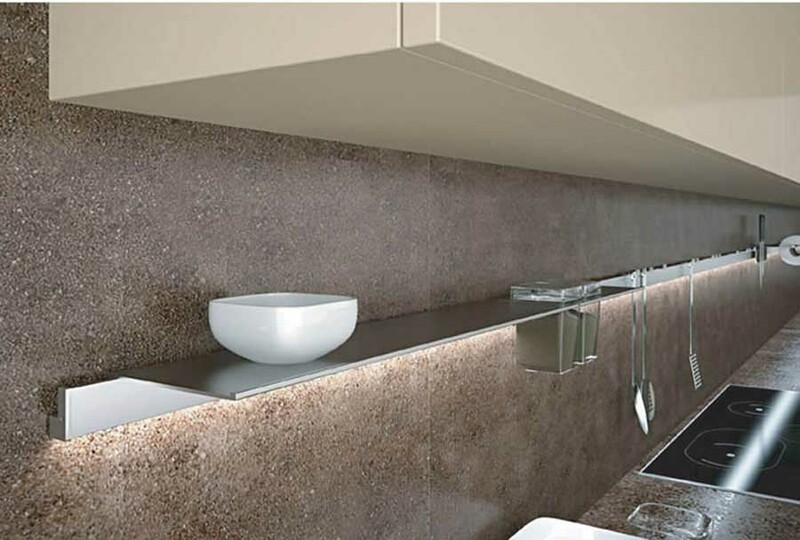 Ossicolor proposes an ample range of aluminum outlines characterized by quality, elegance and duration. 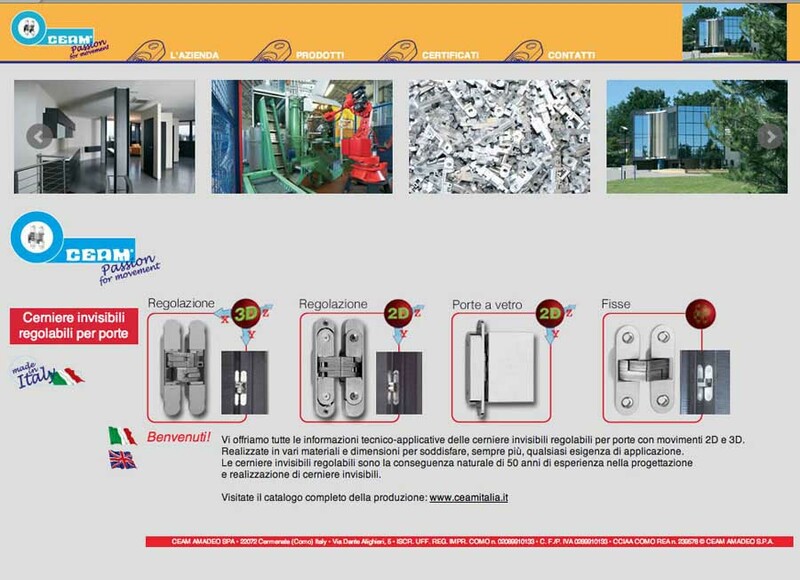 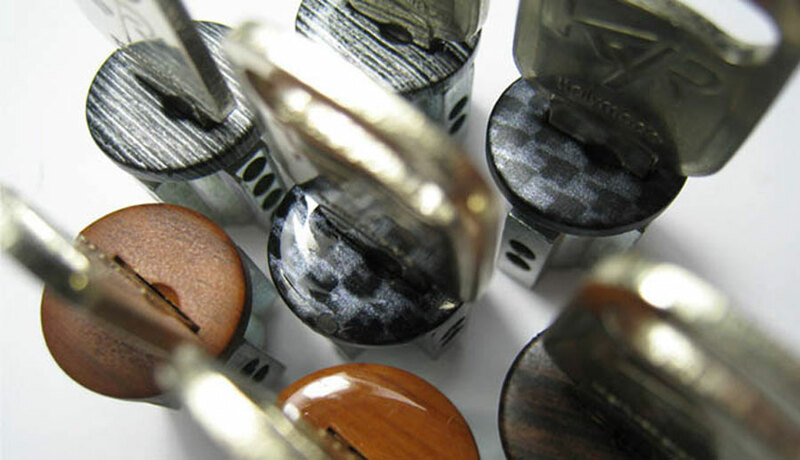 Securital presents the sale of cylinders and locks. 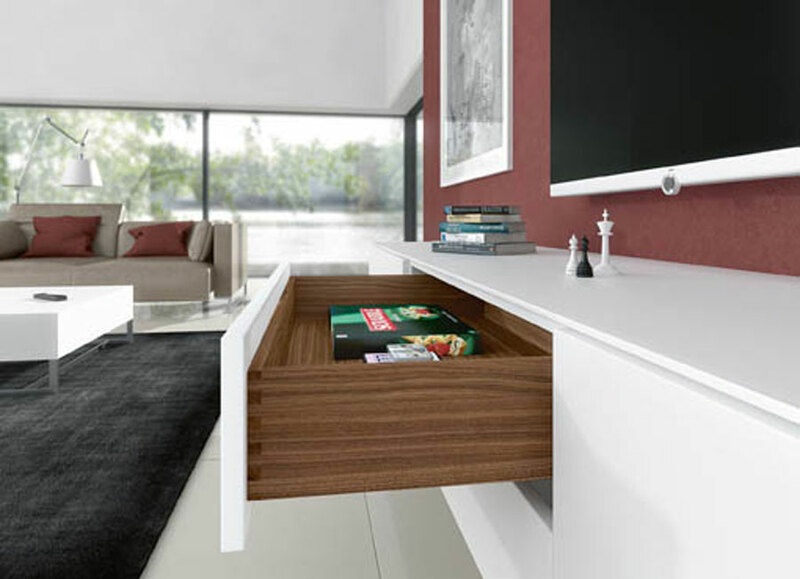 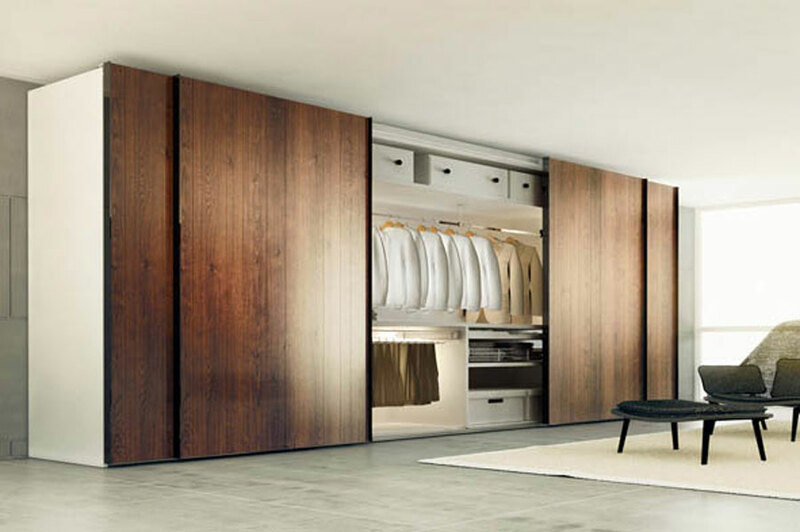 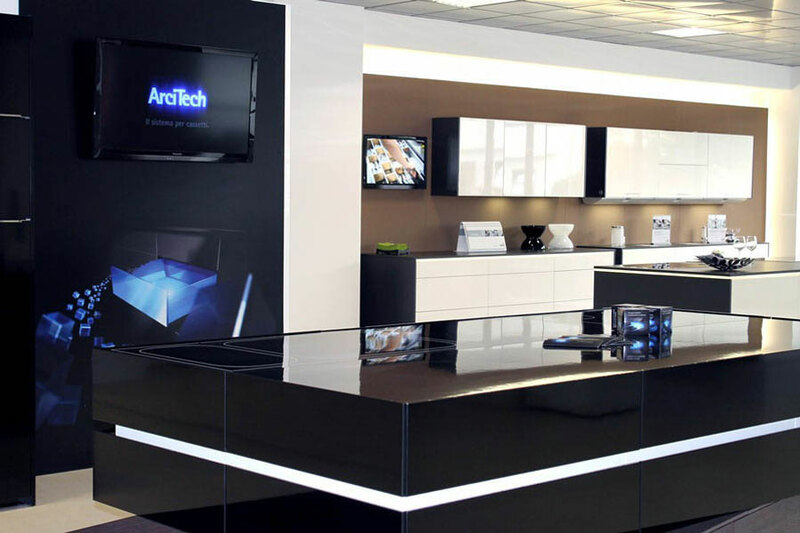 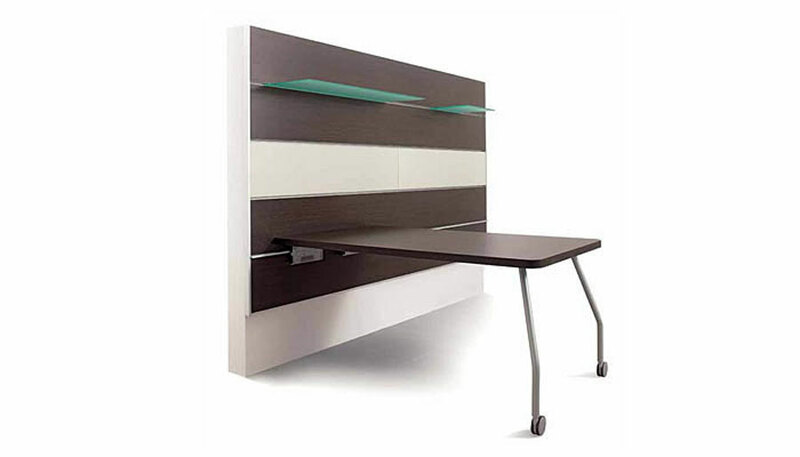 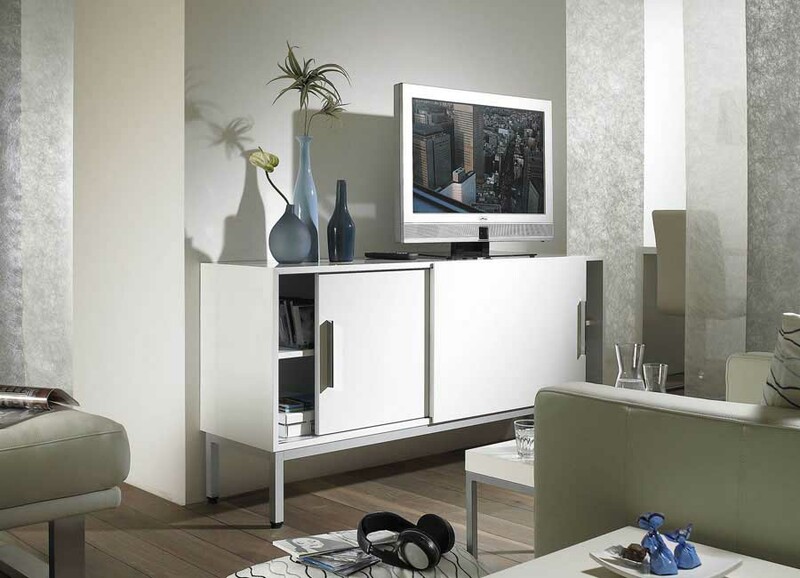 The innovations of the best manufacturers of furniture hardware that is used in the furniture industry are present here, by craftsmen and architects for the design and manufacture of furniture for the living area, sleeping area, kitchen, bathroom and more. 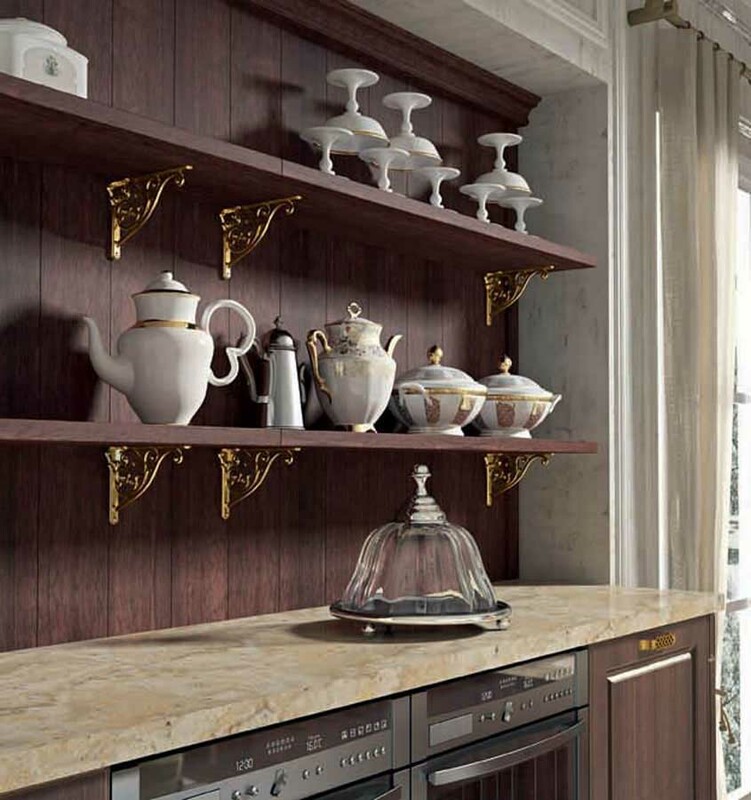 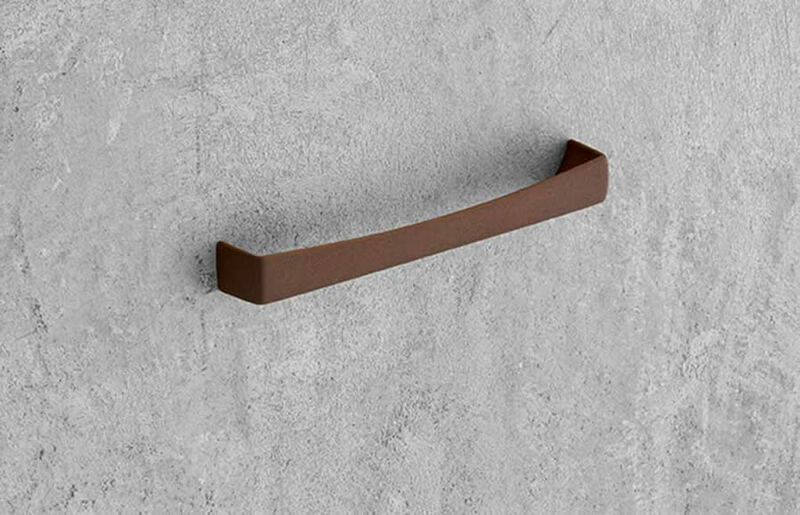 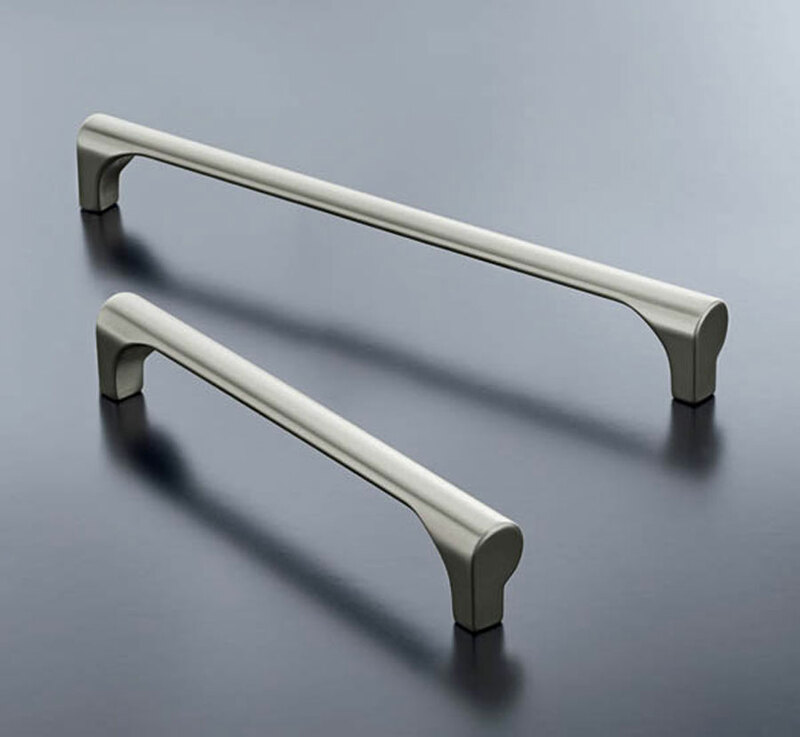 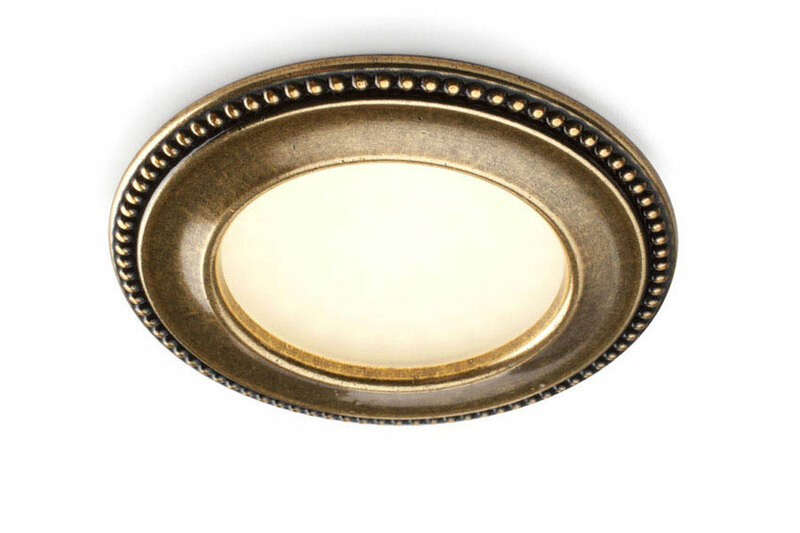 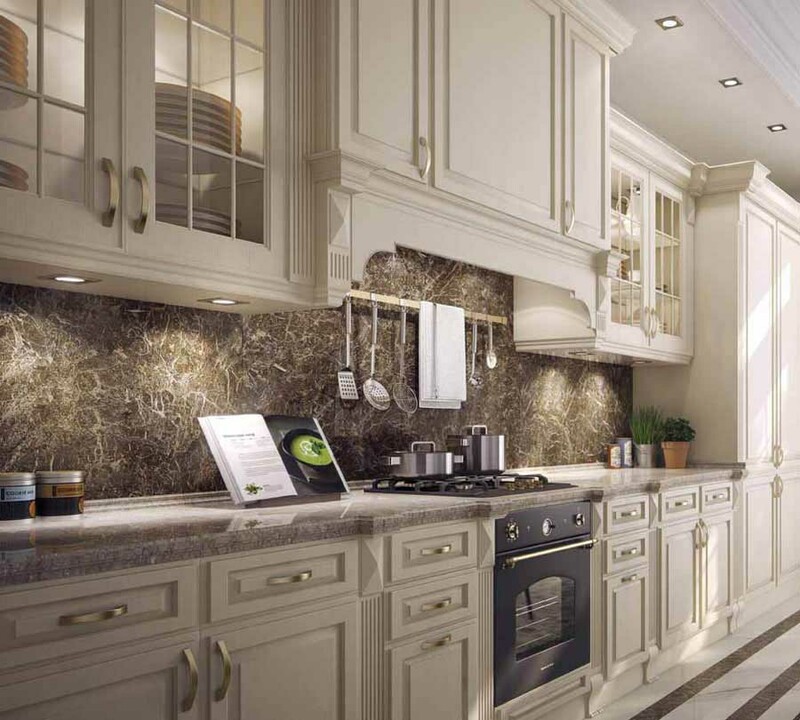 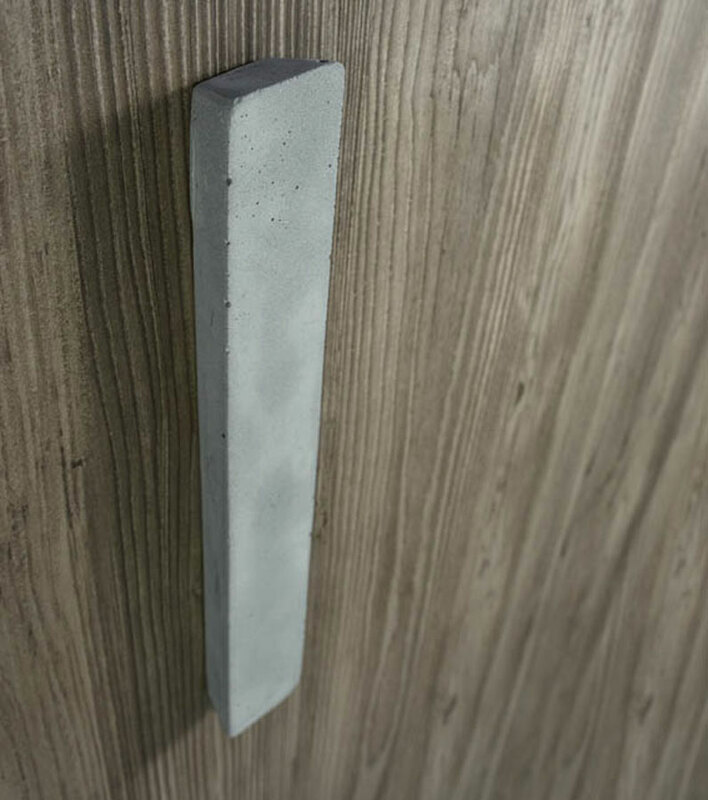 The products that make up this category are many and are divided into two groups: decorative and ornamental hardware for furniture (handles, knobs, keys etc.) 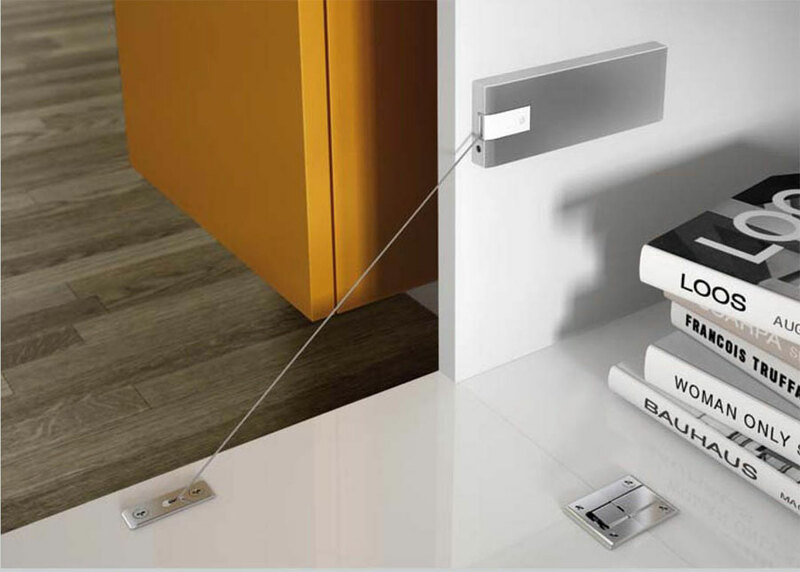 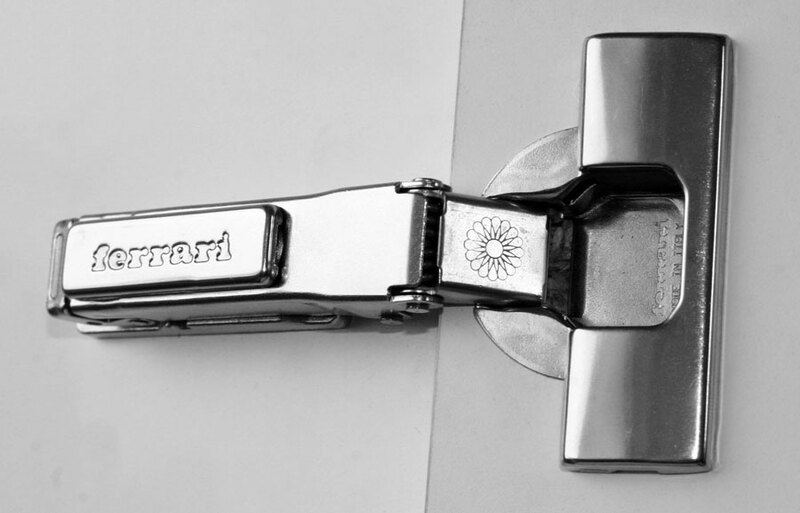 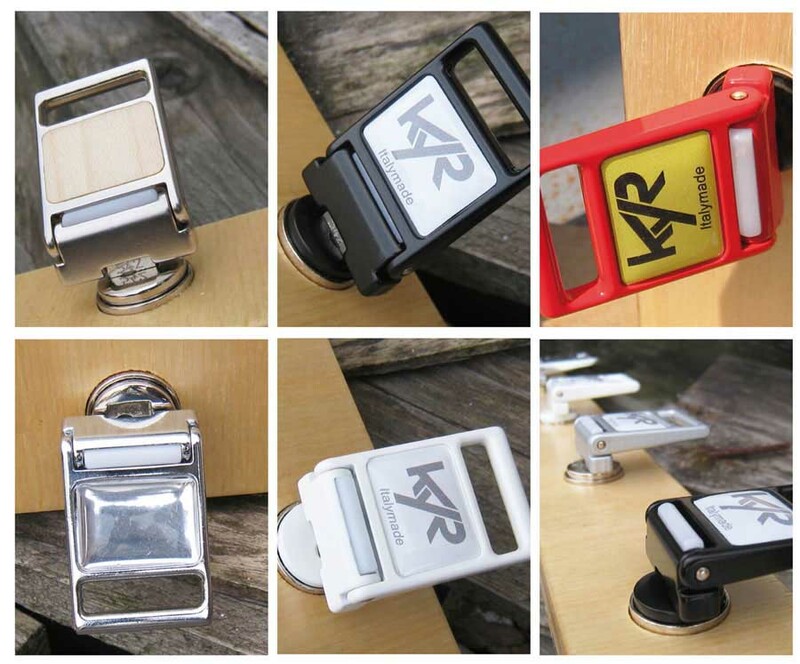 And functional furniture hardware (furniture hinges, drawer slides, for folding doors mechanisms , for sliding doors mechanisms etc.). 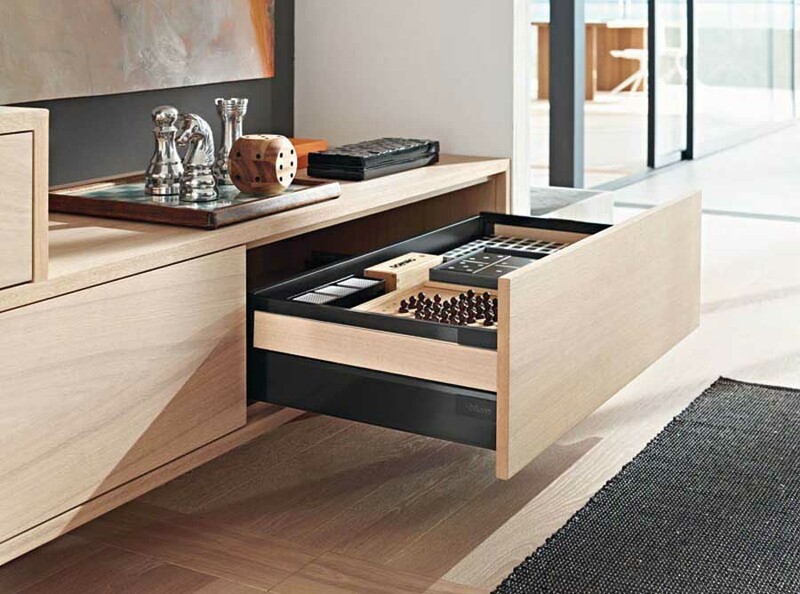 You find the products and catalogs of the best manufacturers of furniture hardware and you can get in touch directly with the companies via the contact form or via their contact details on the custom tab.